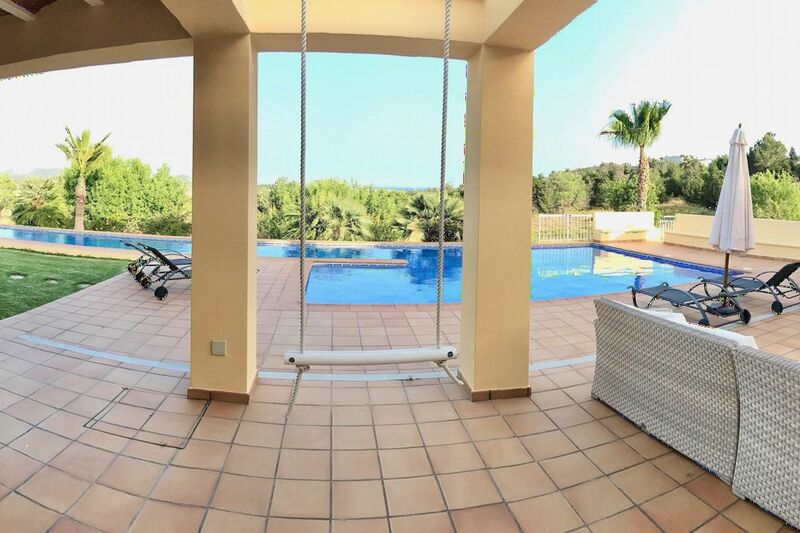 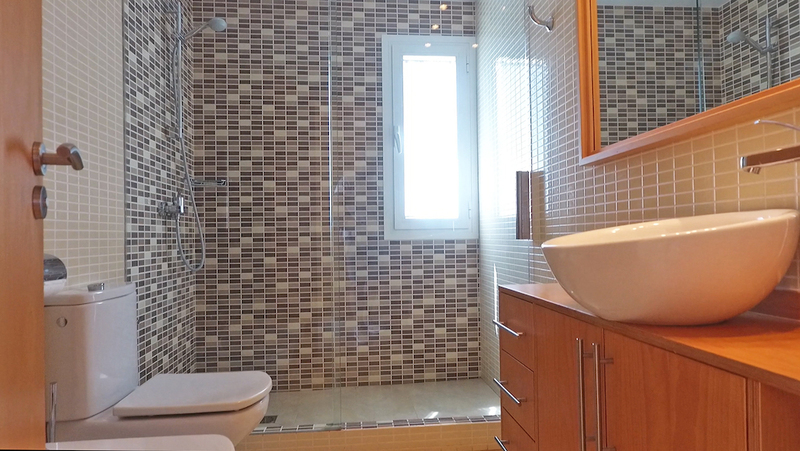 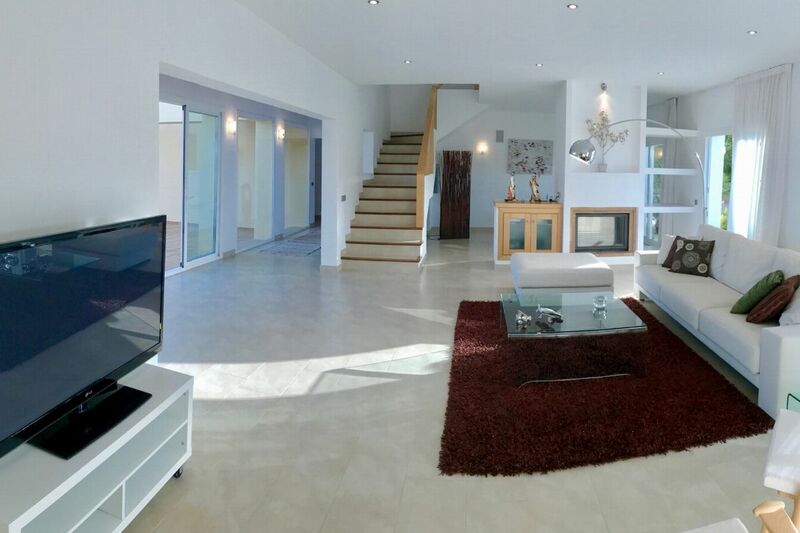 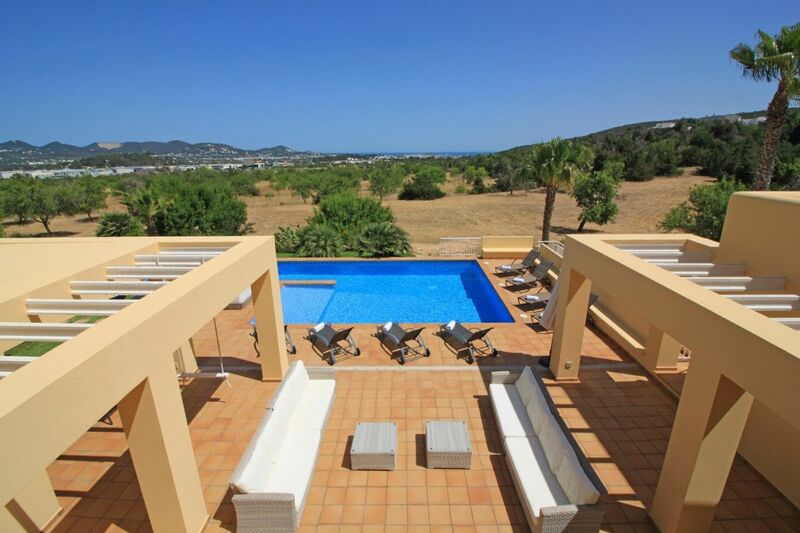 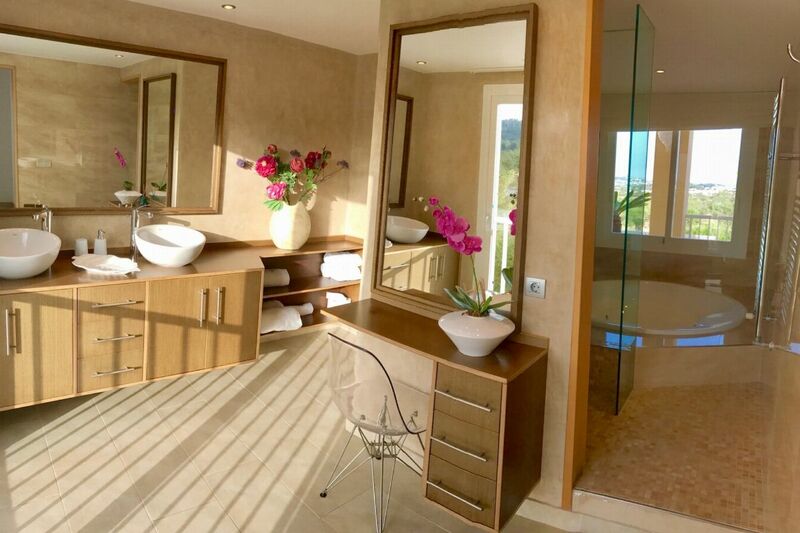 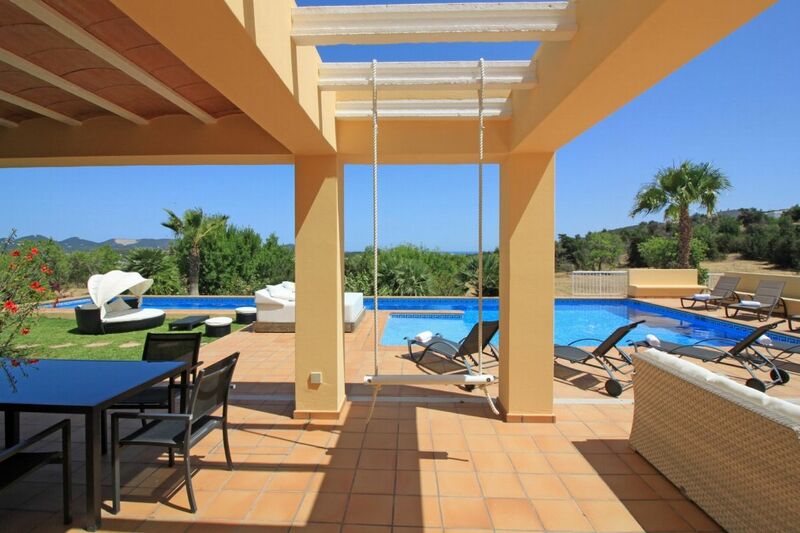 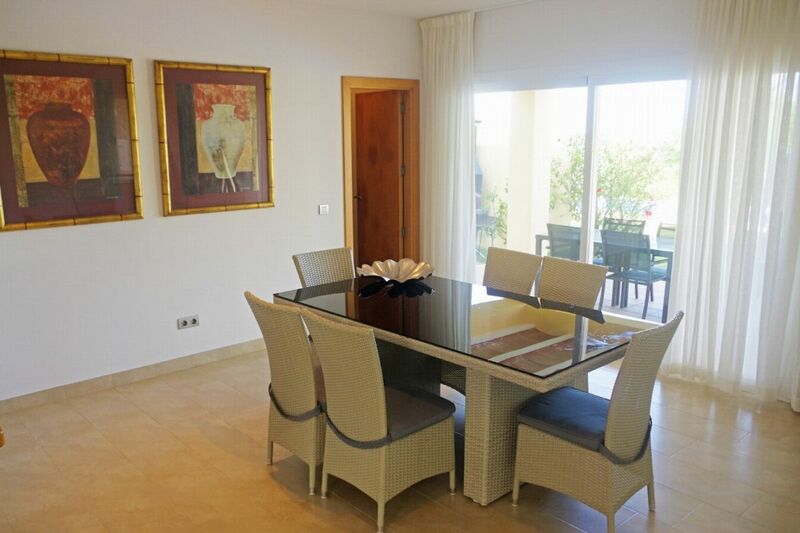 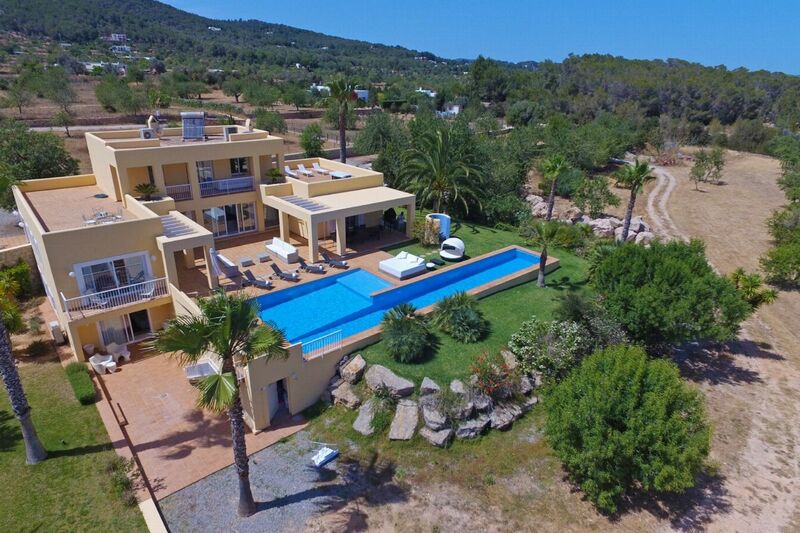 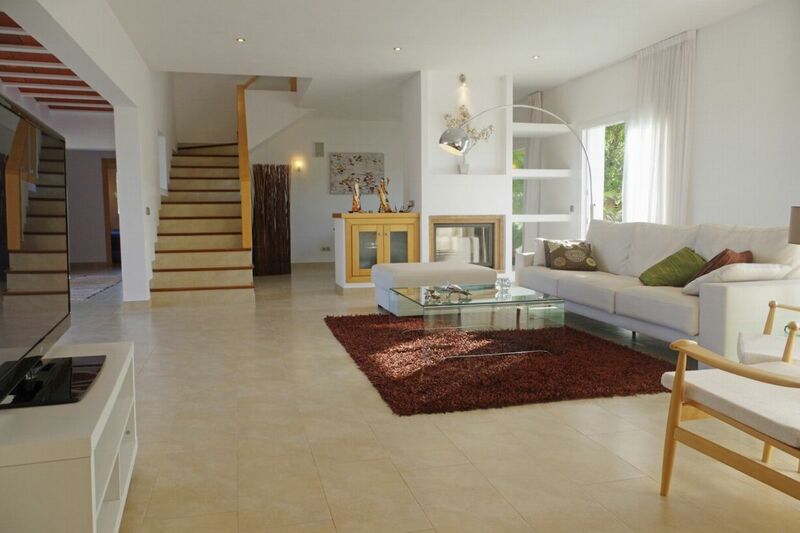 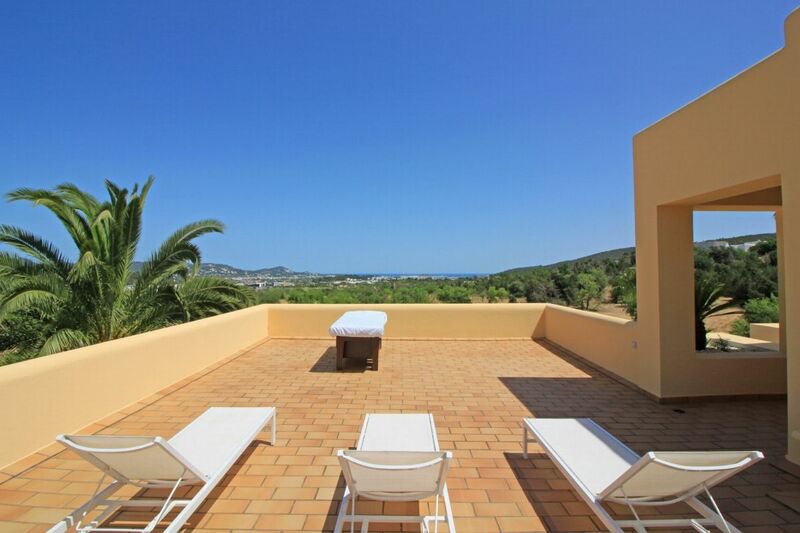 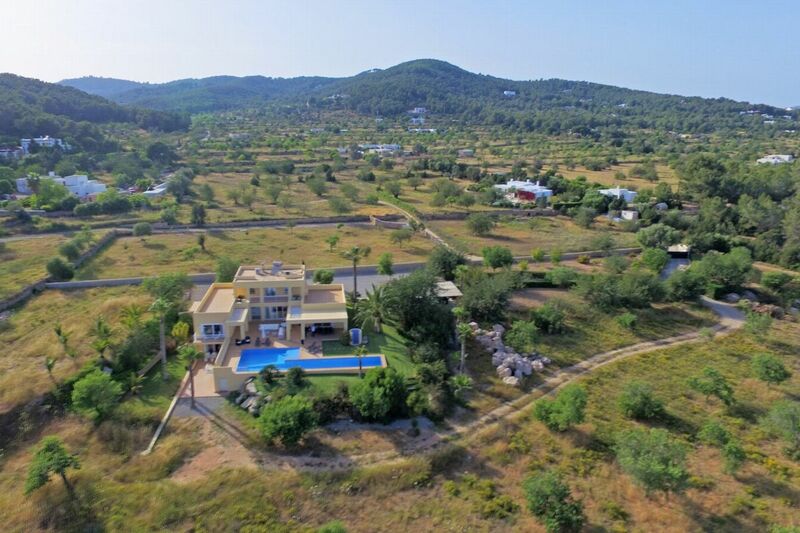 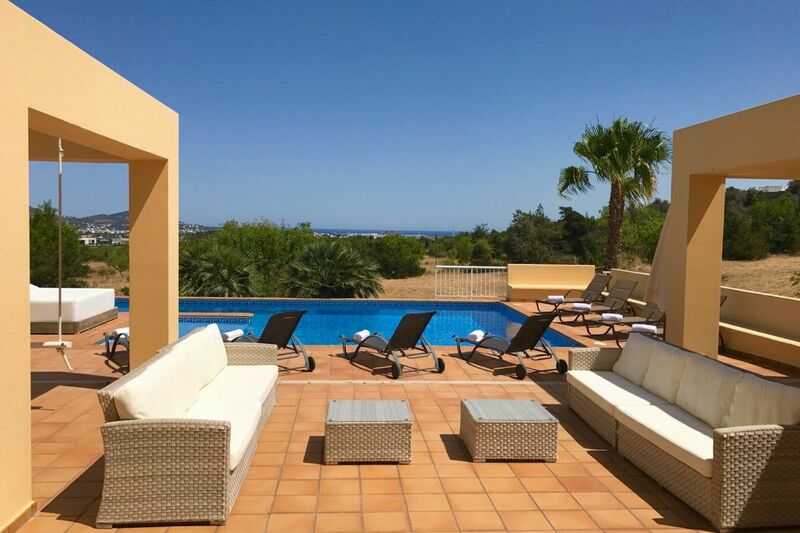 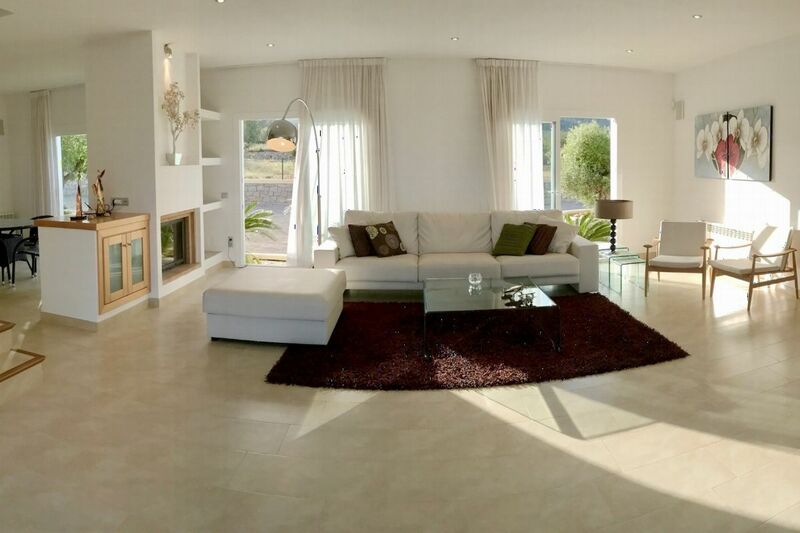 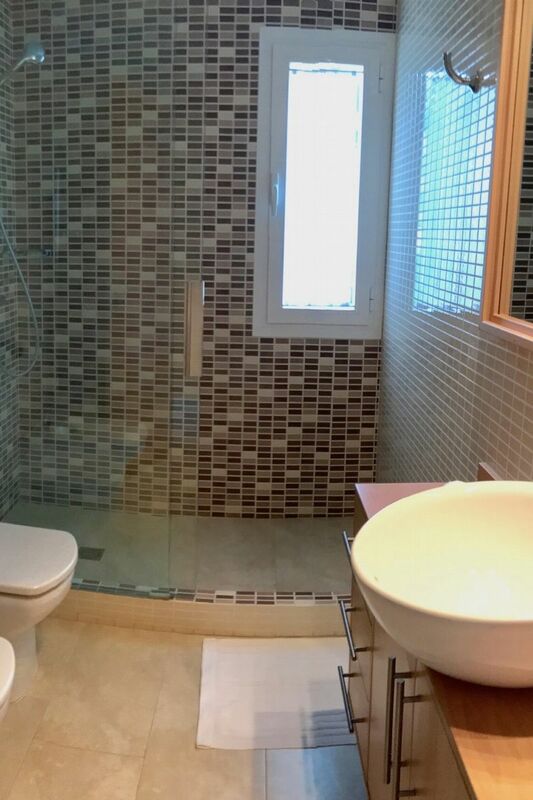 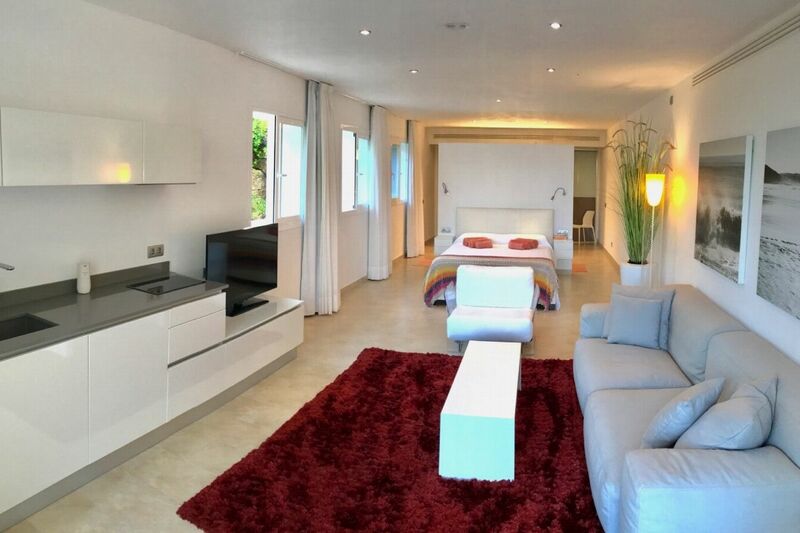 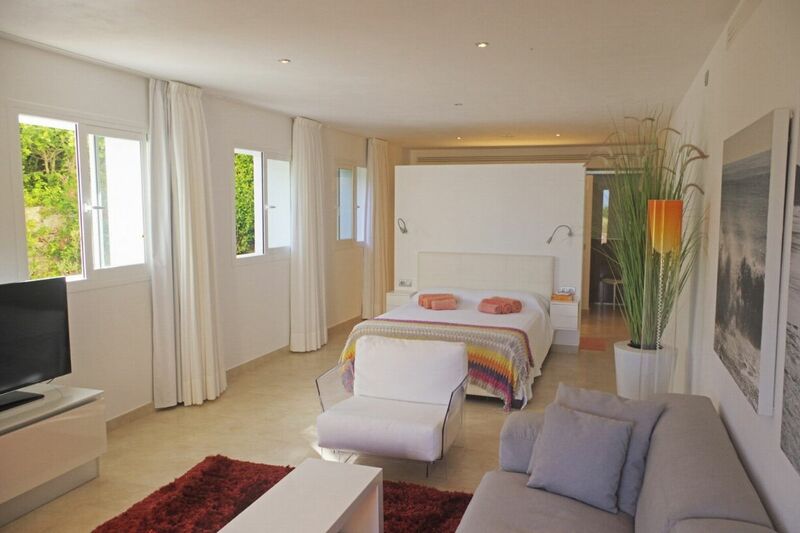 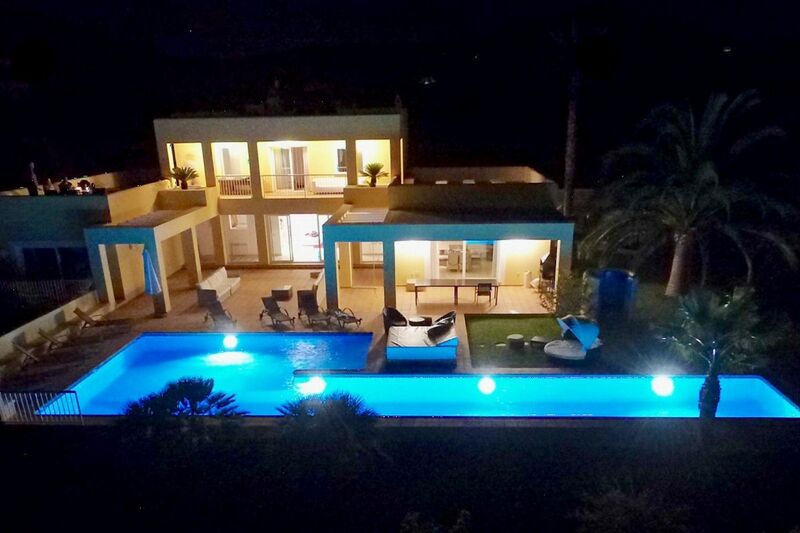 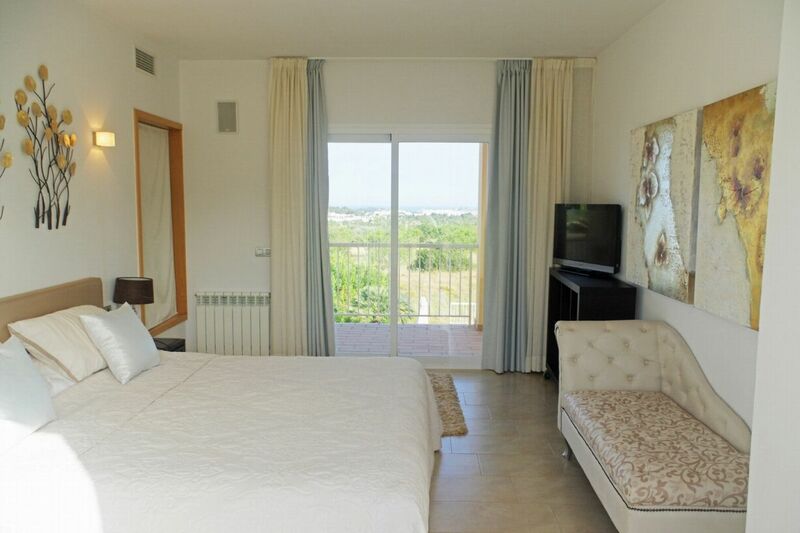 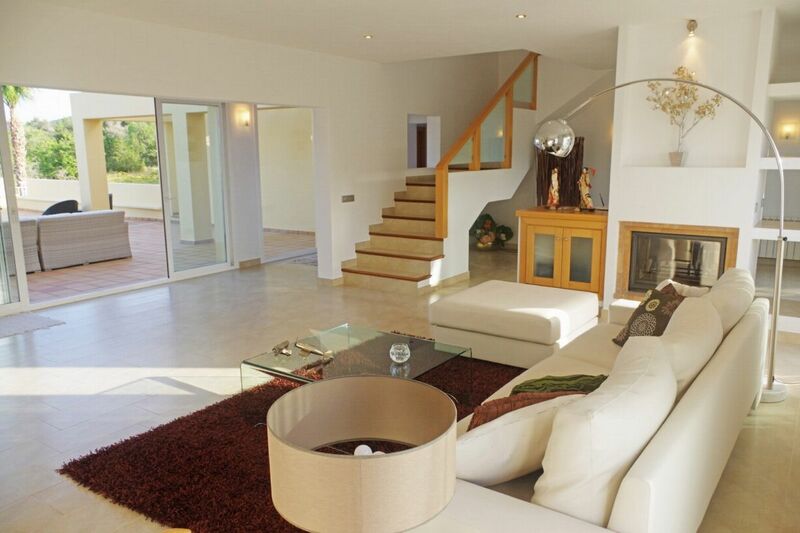 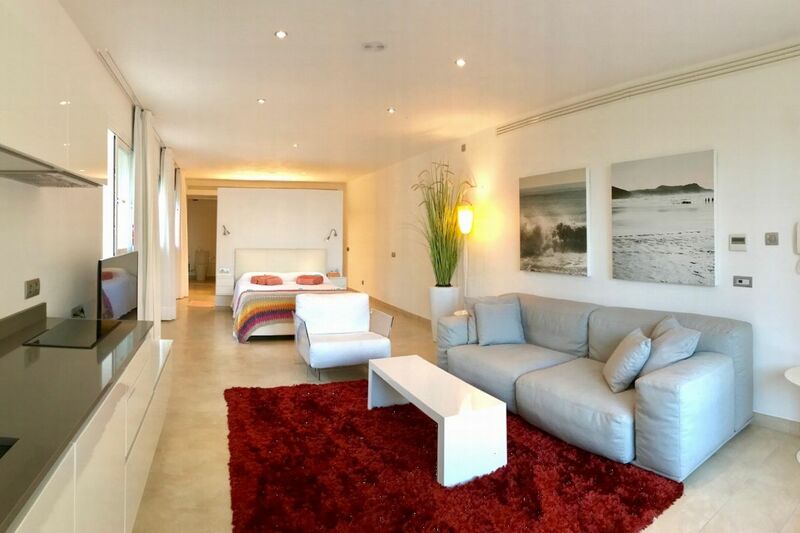 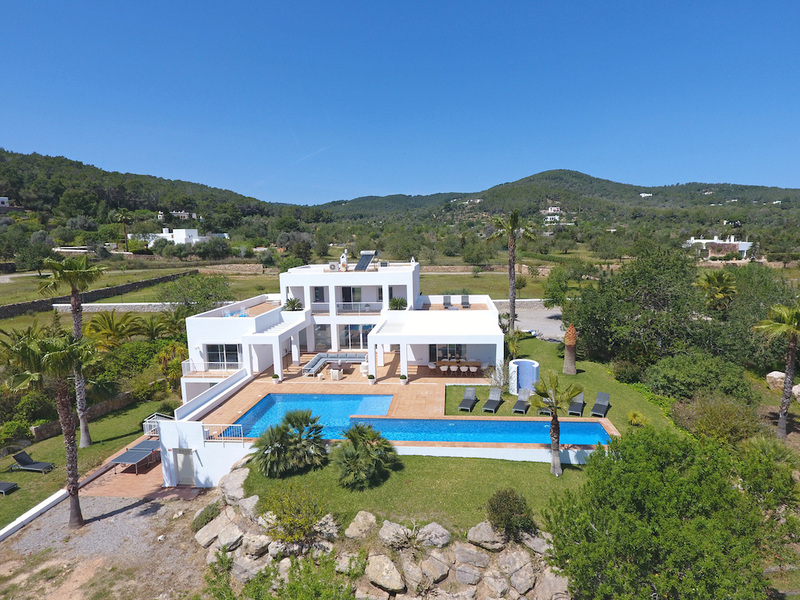 Spacious modern villa boasting stunning views of the surrounding valley to Dalt Vila. 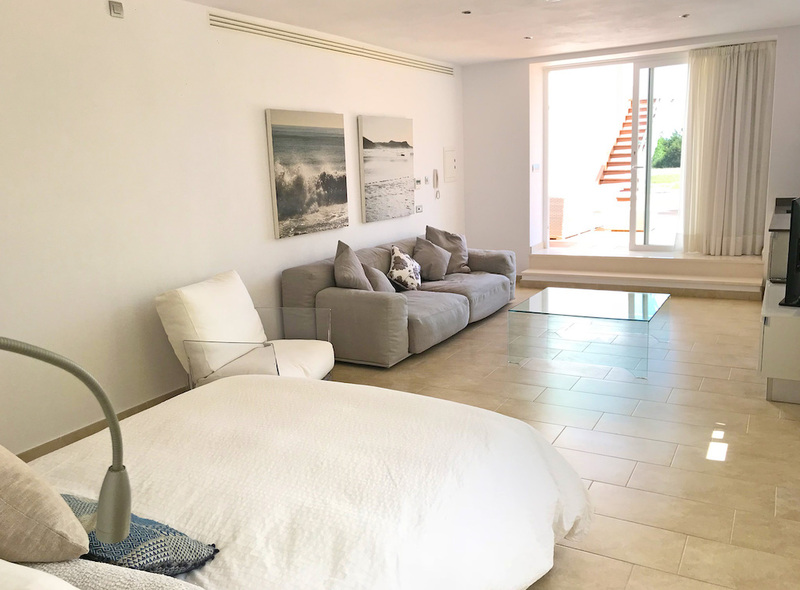 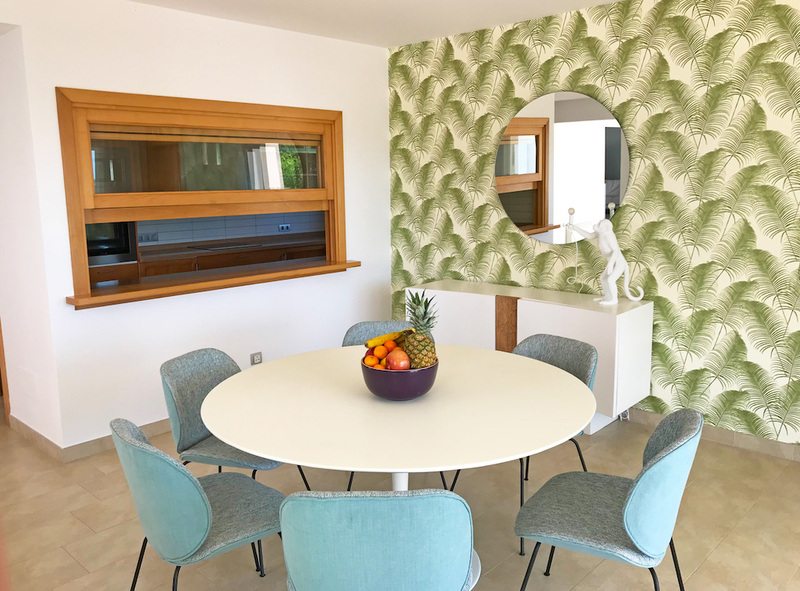 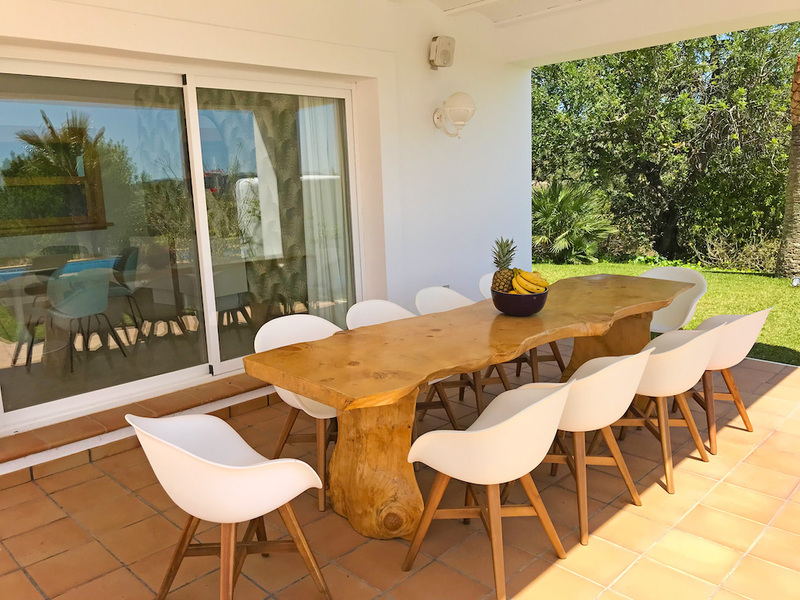 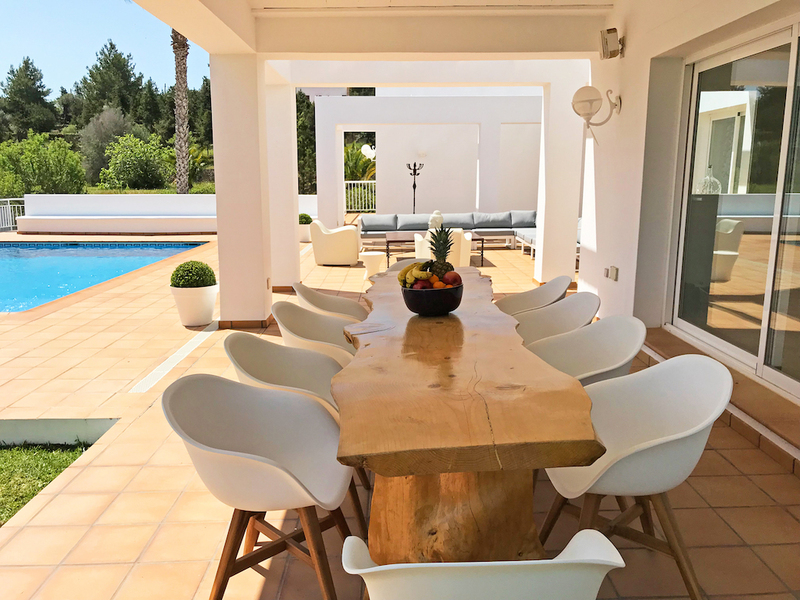 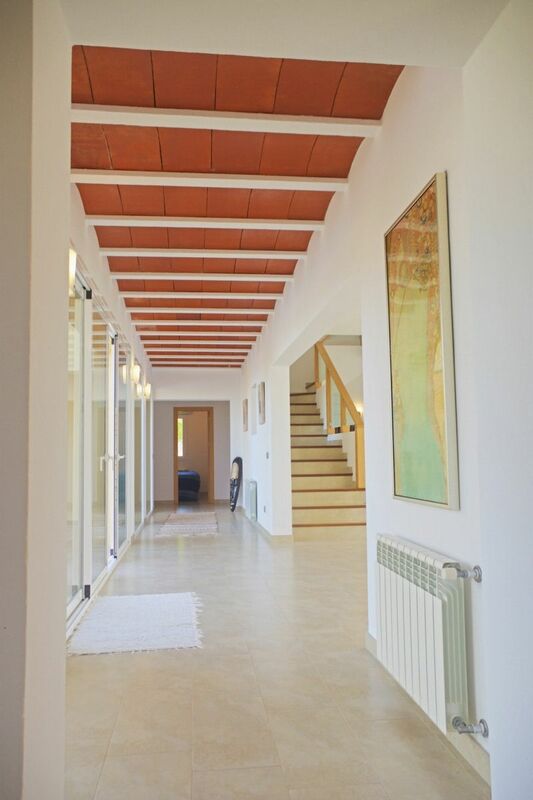 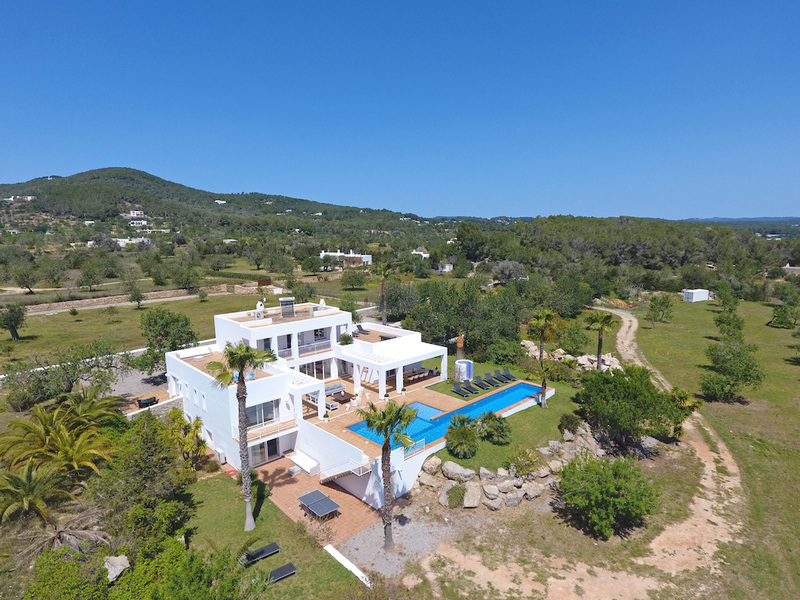 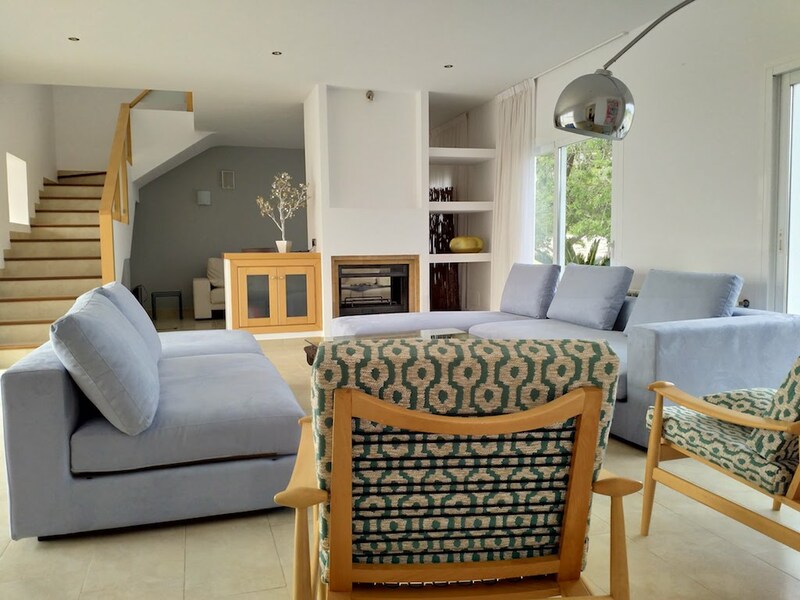 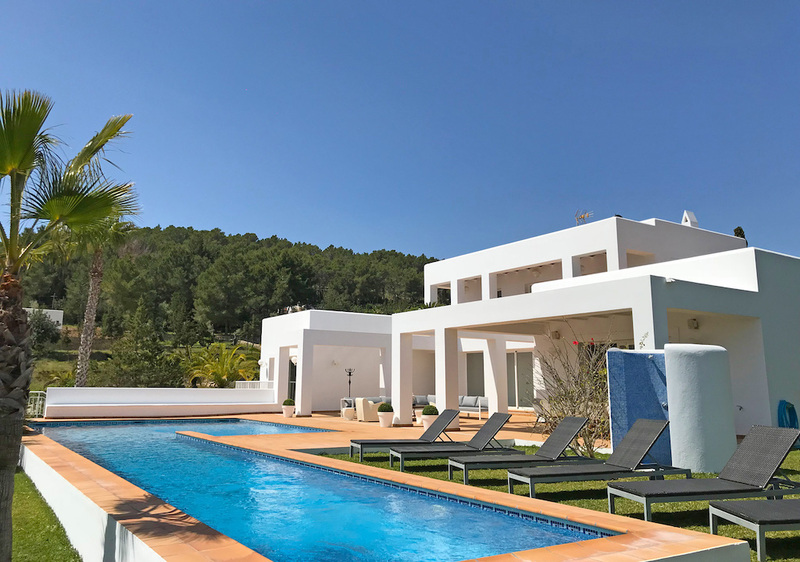 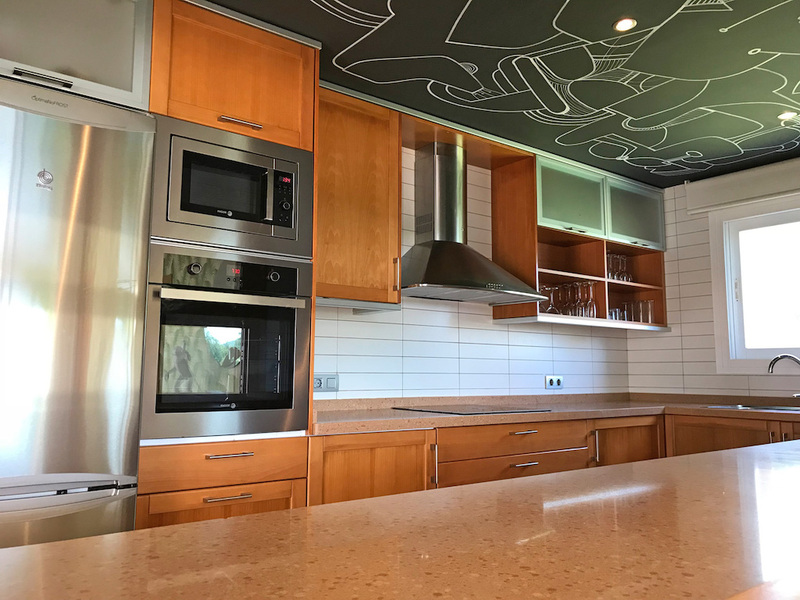 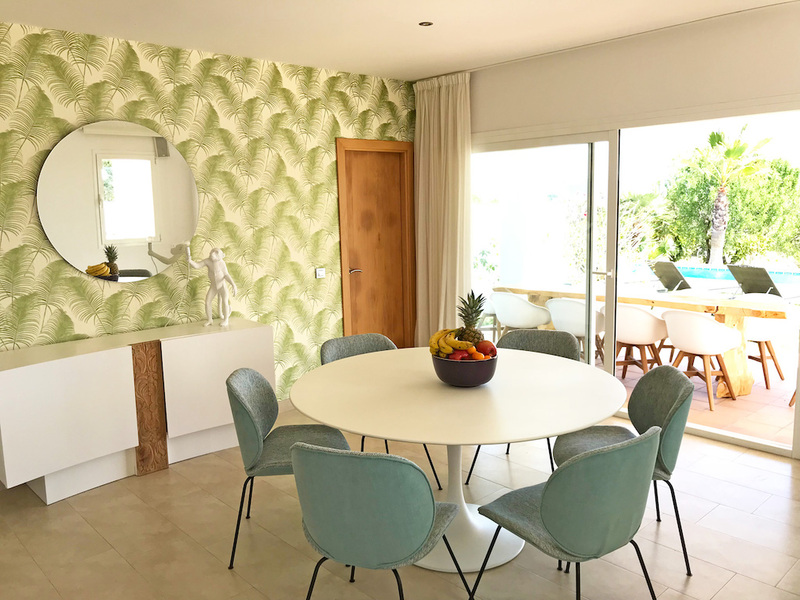 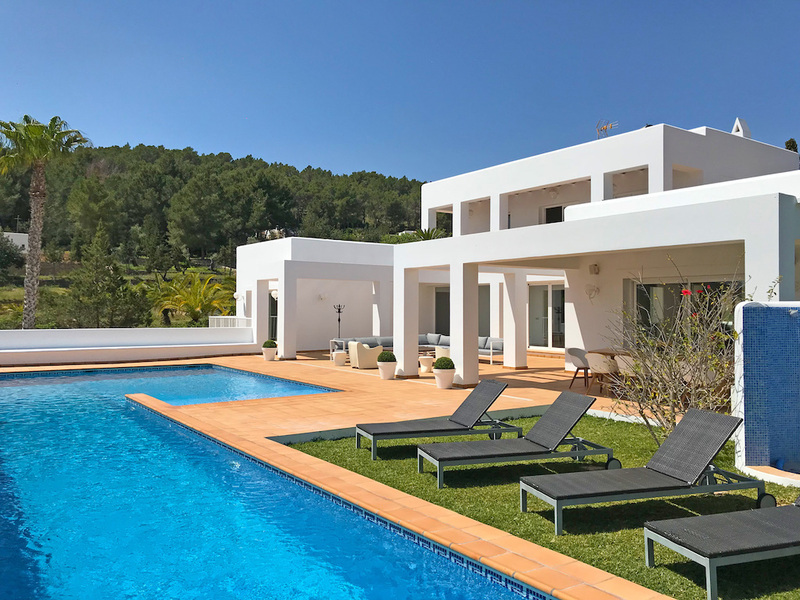 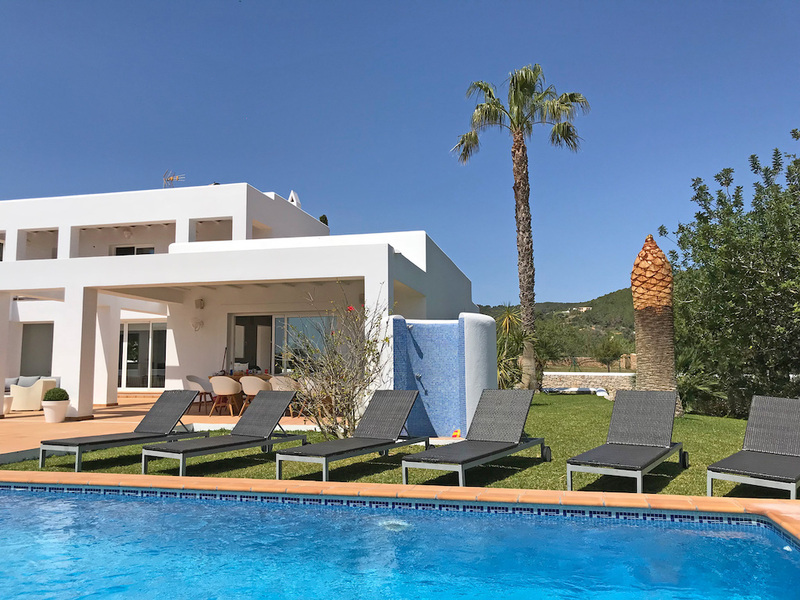 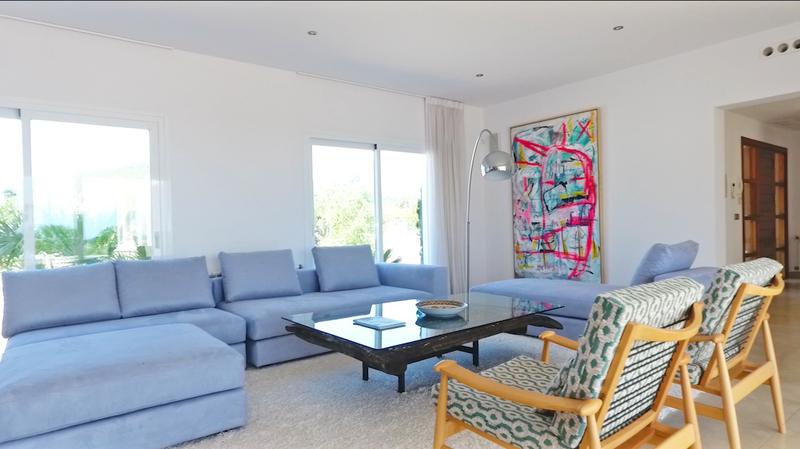 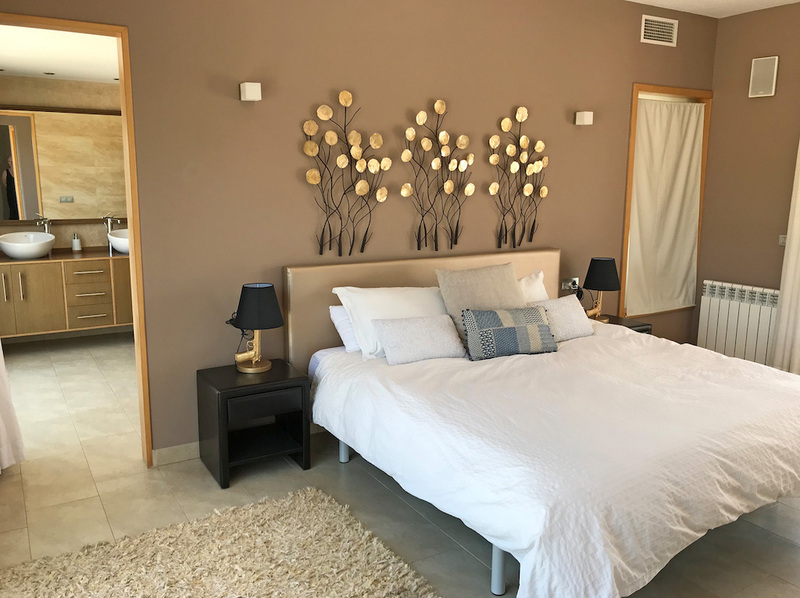 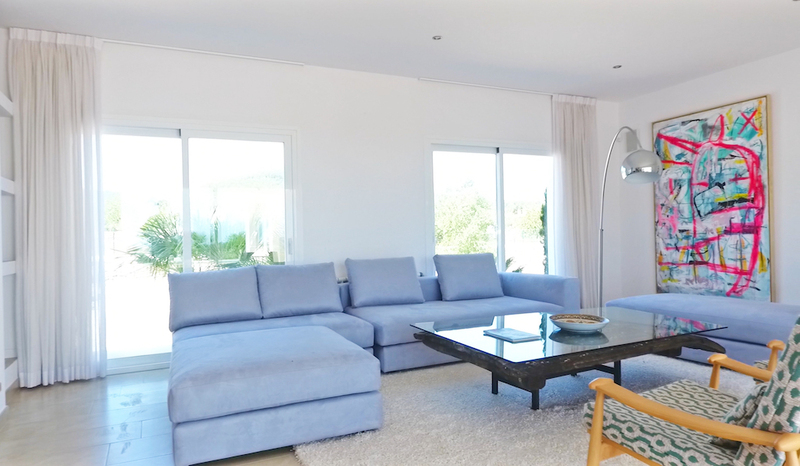 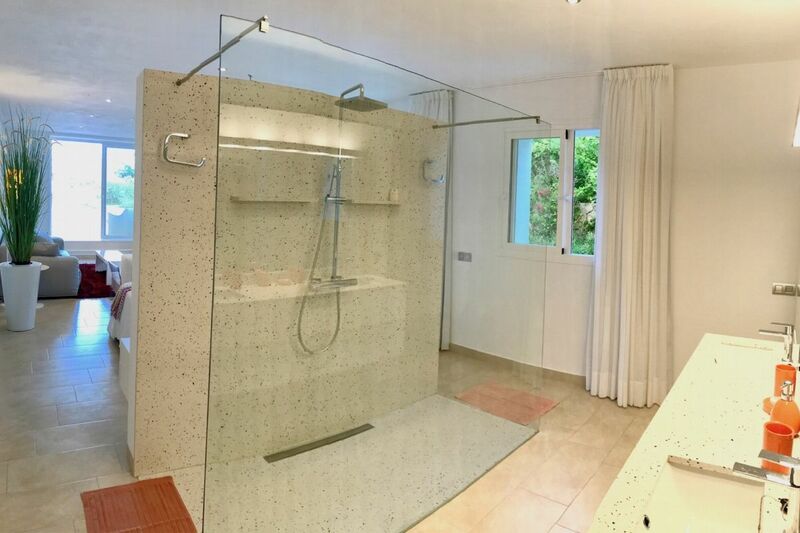 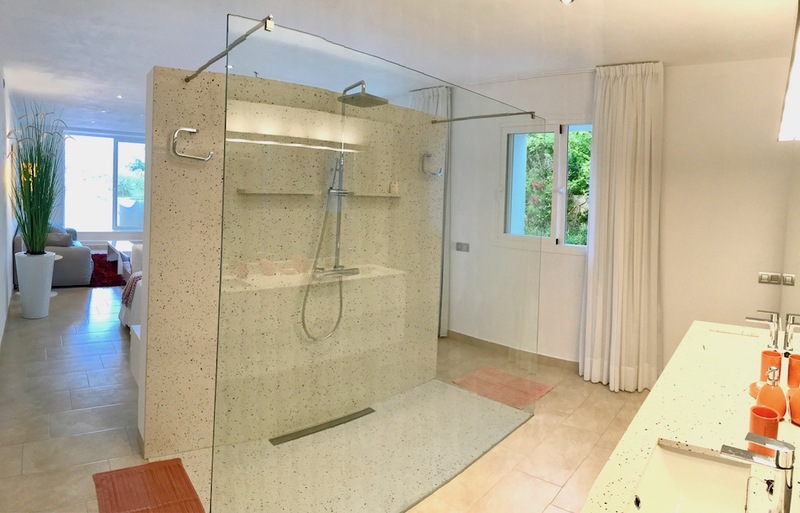 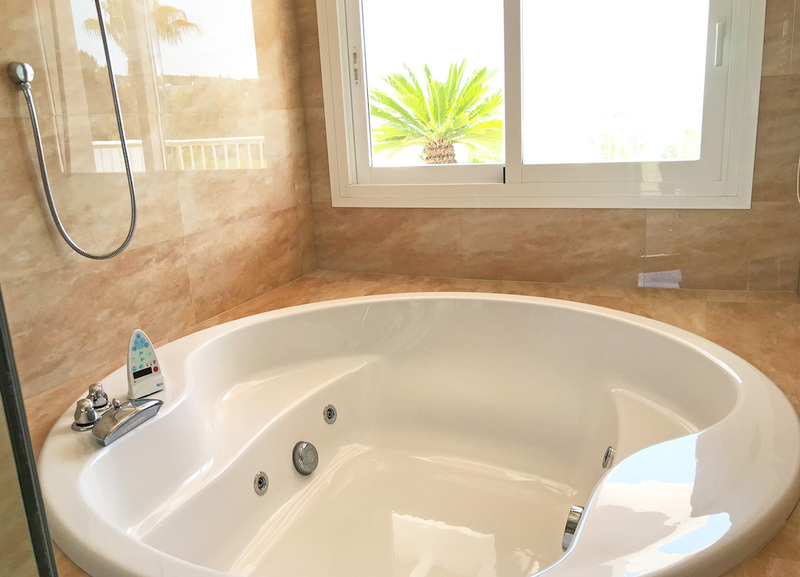 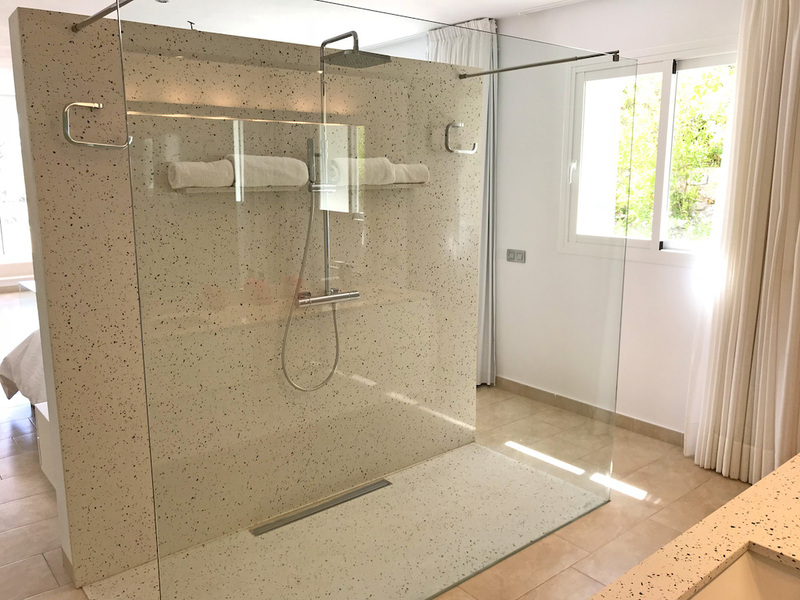 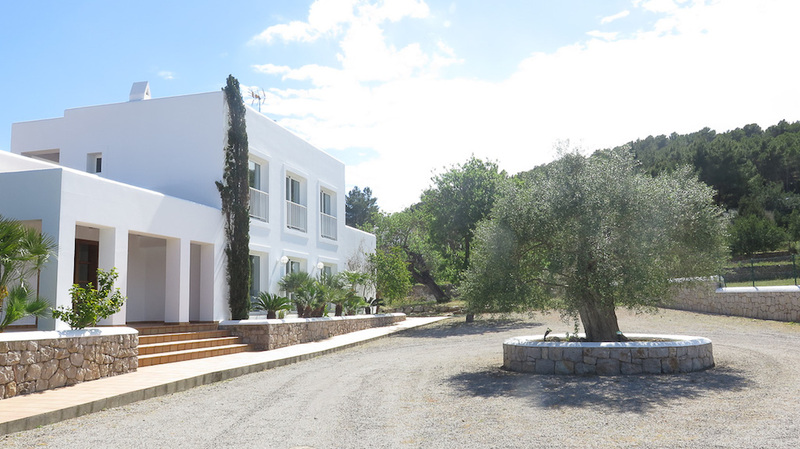 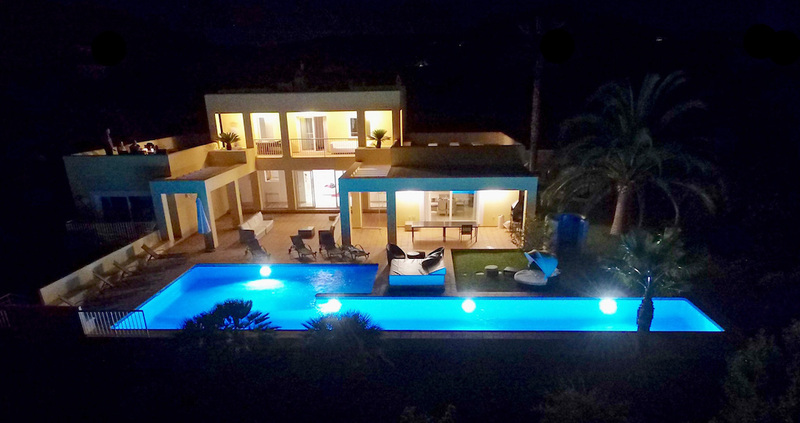 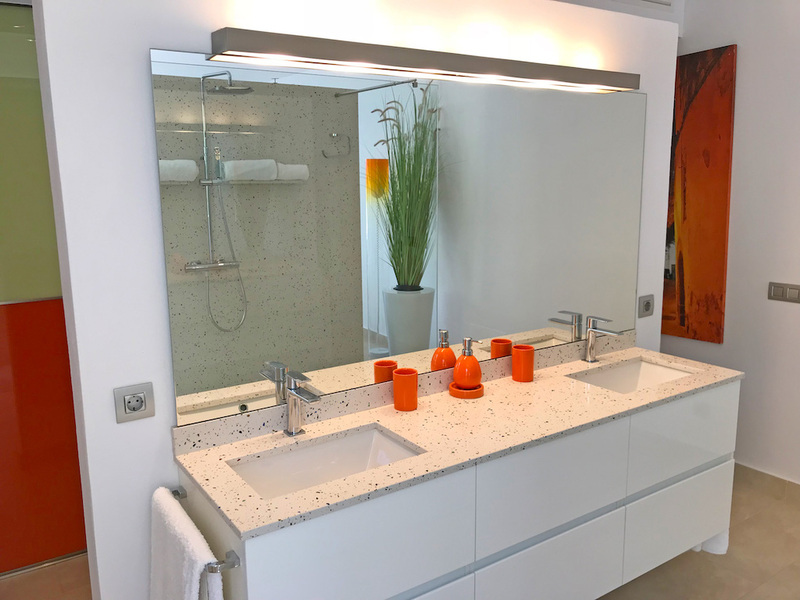 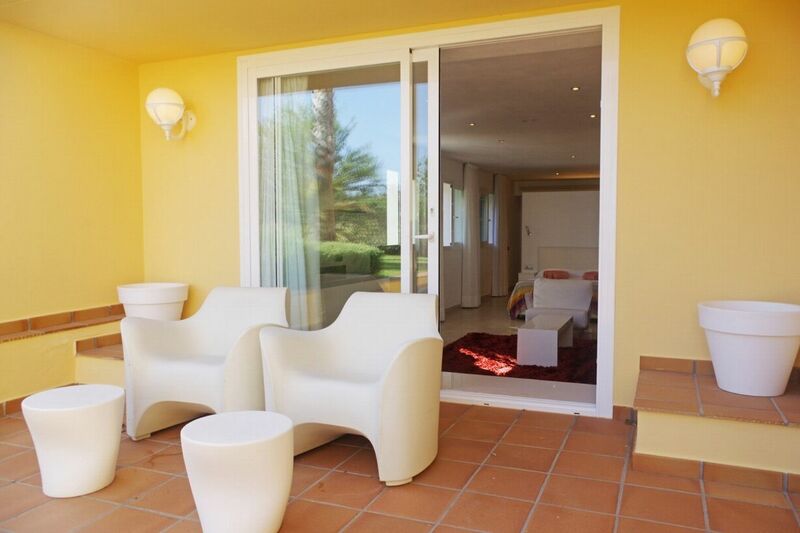 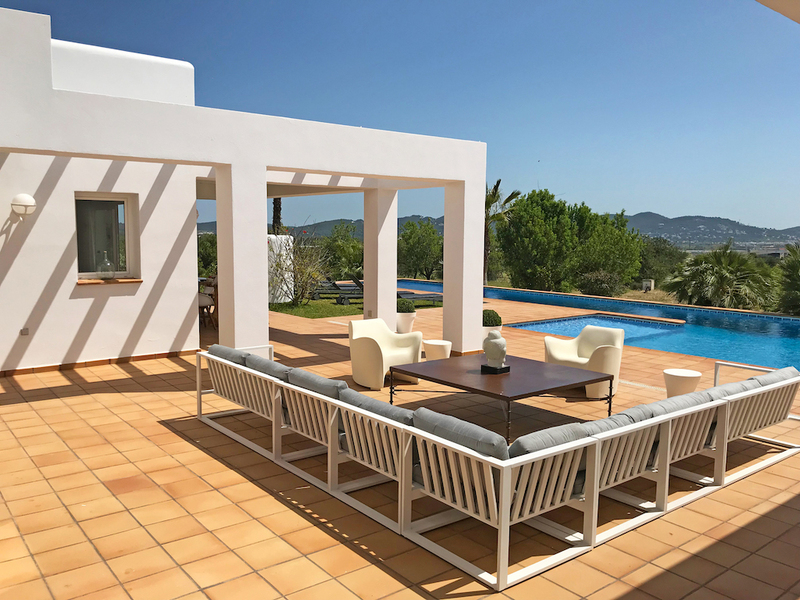 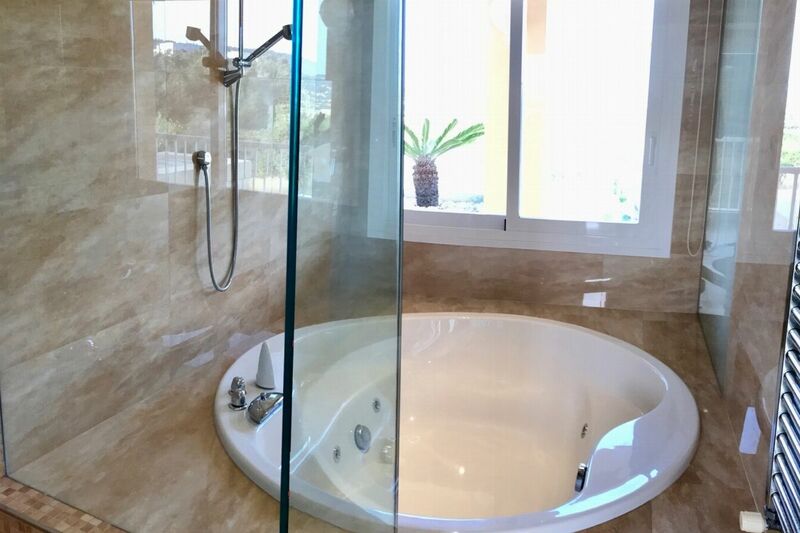 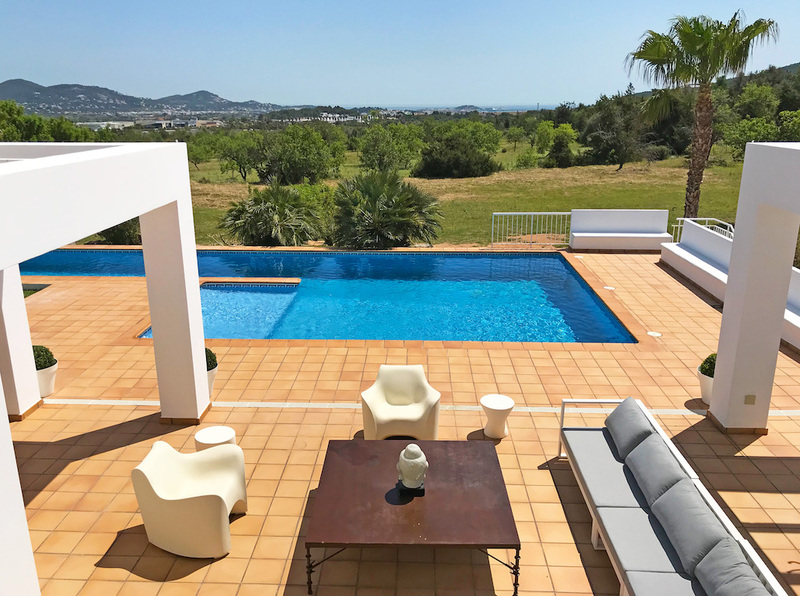 This spacious modern villa in San Rafael was designed by the famous Ibicencan decorator Joan Ribas and in 2018 has received a complete re-style and makeover courtesy of Ibiza interior designer Pietro Cuevas. 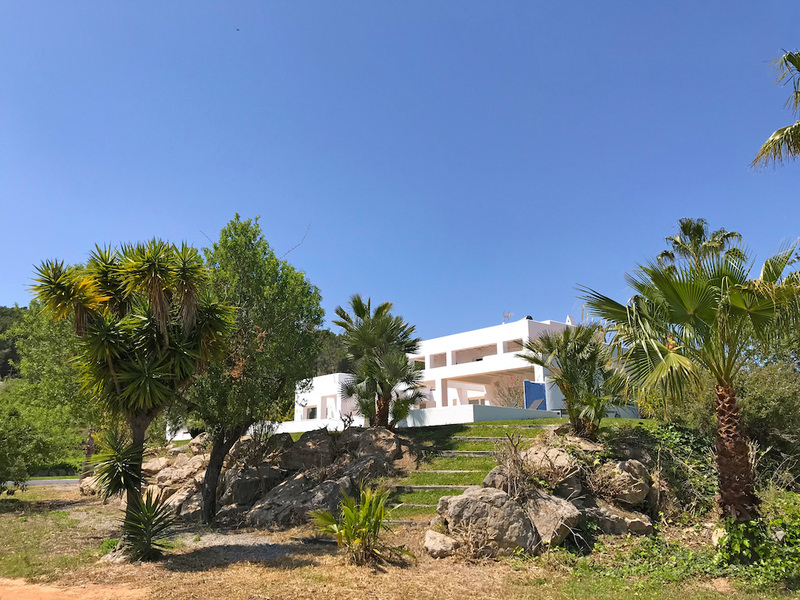 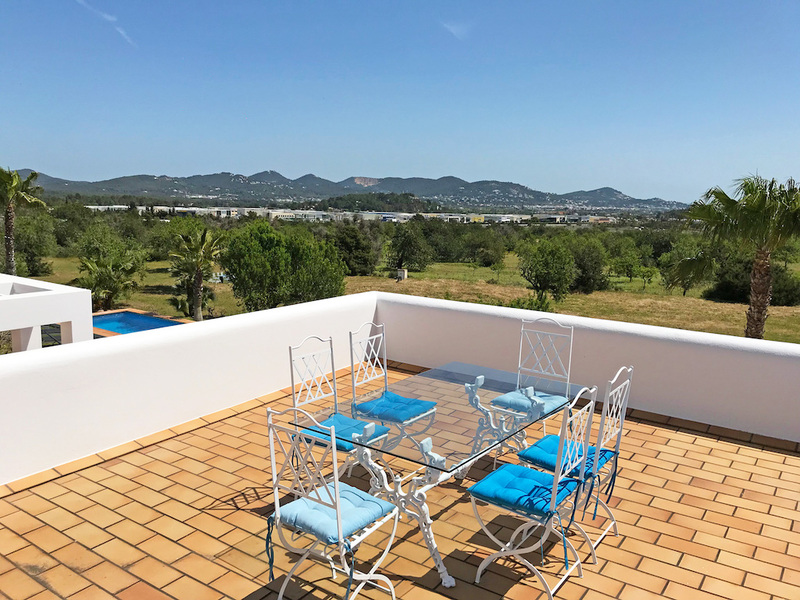 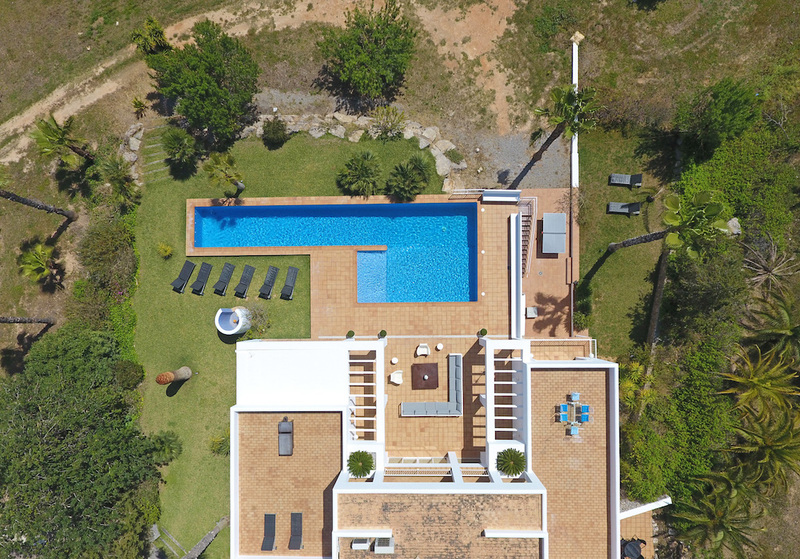 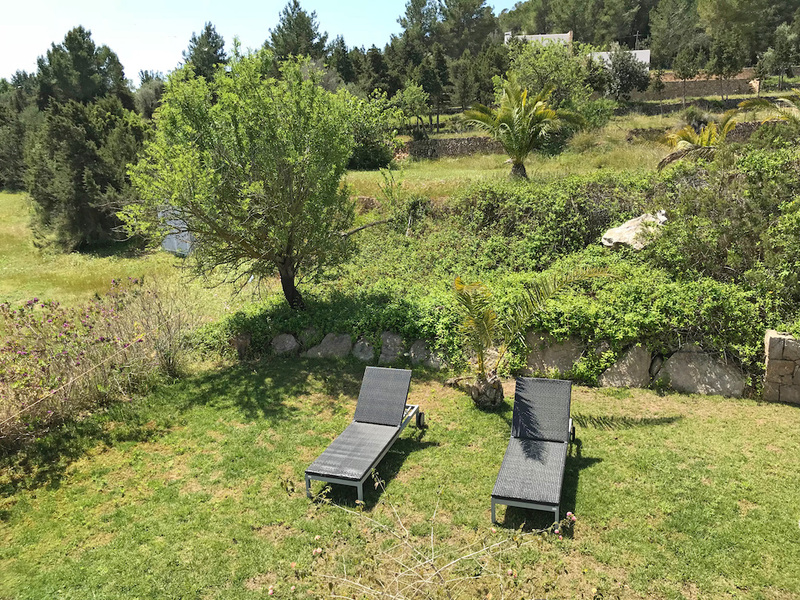 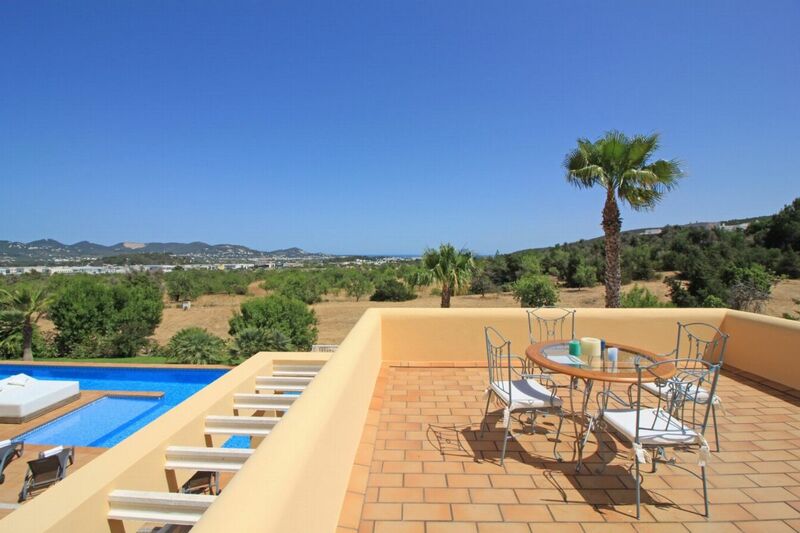 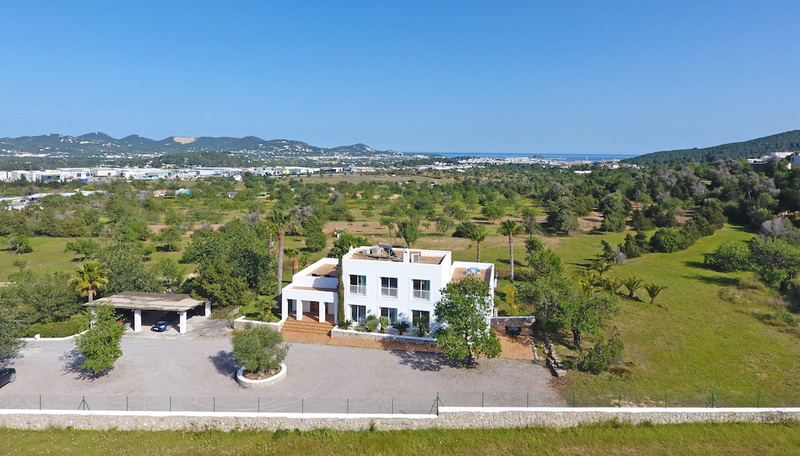 With a plot of 20, 000m2 and 320m2 of living space, it boasts stunning views of the surrounding countryside and distant views to the sea and the Marina Botafoch, it is a haven of peace and quiet, but not too far a drive from some of the island's most popular beaches, bars and restaurants. 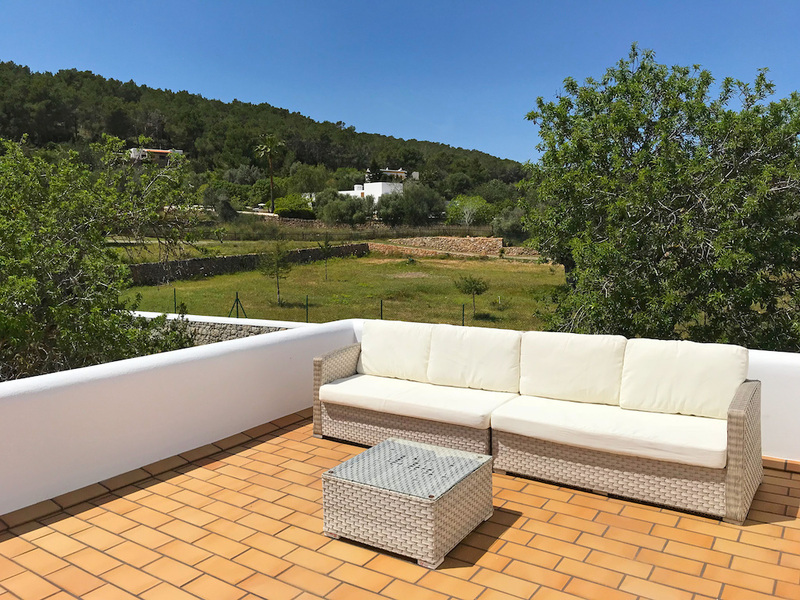 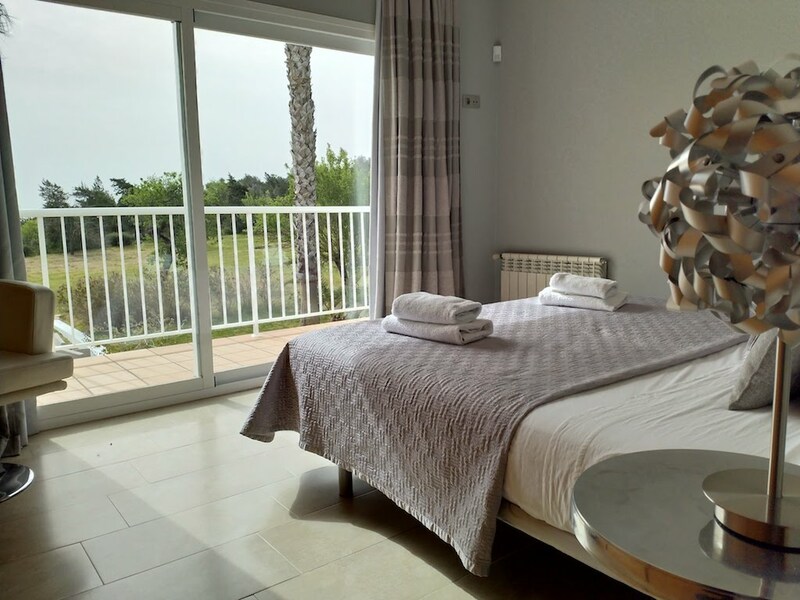 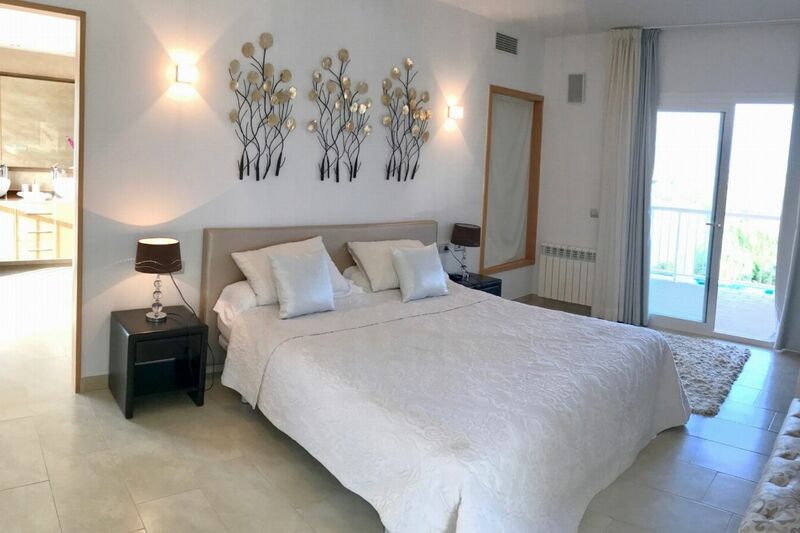 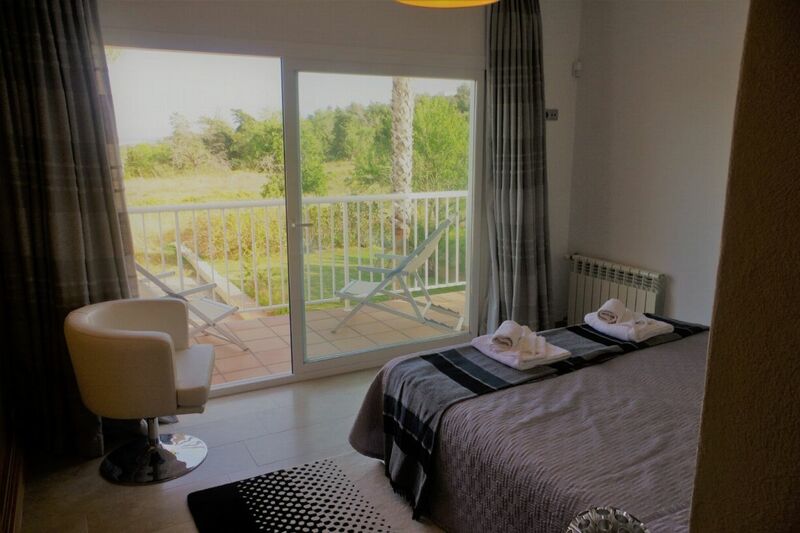 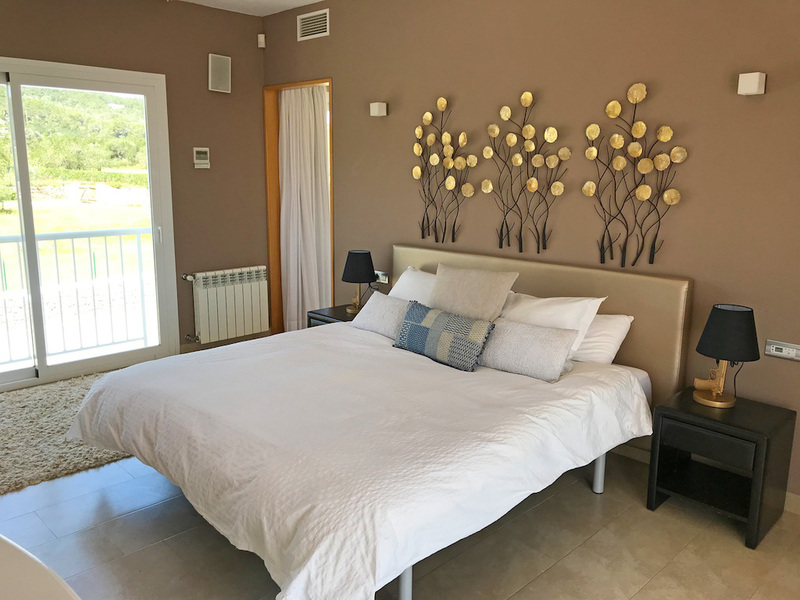 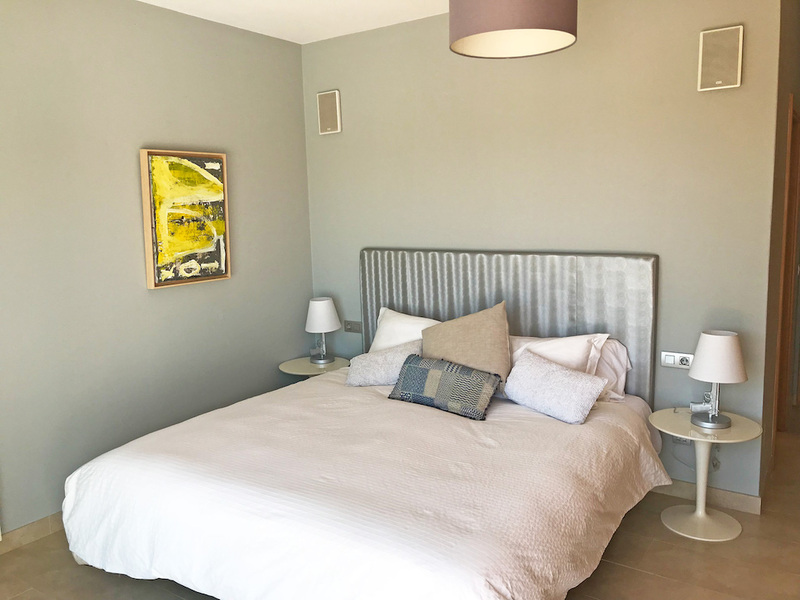 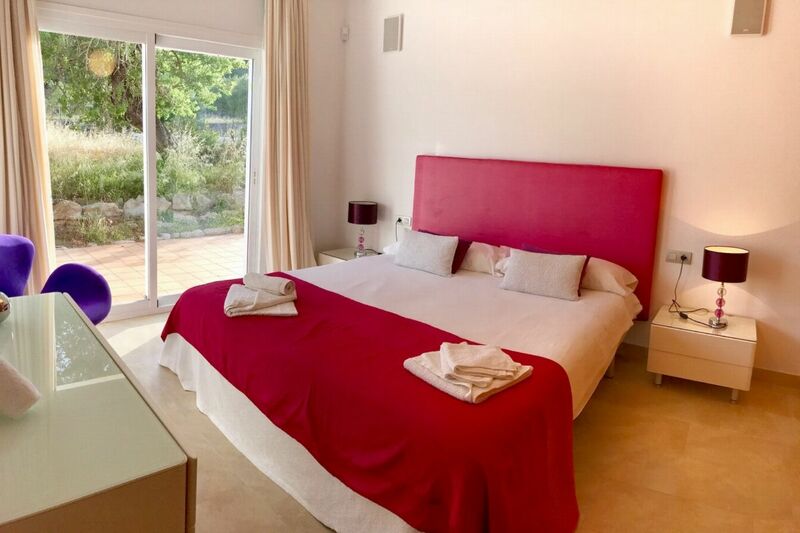 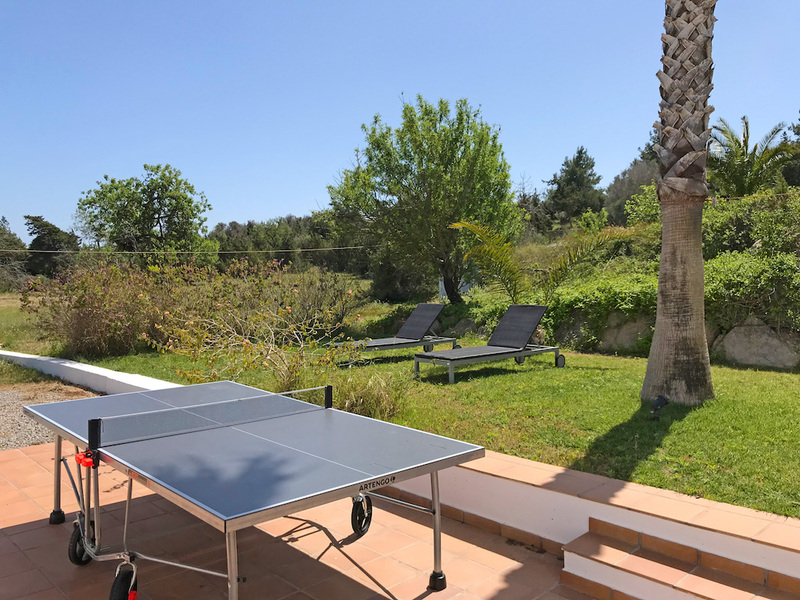 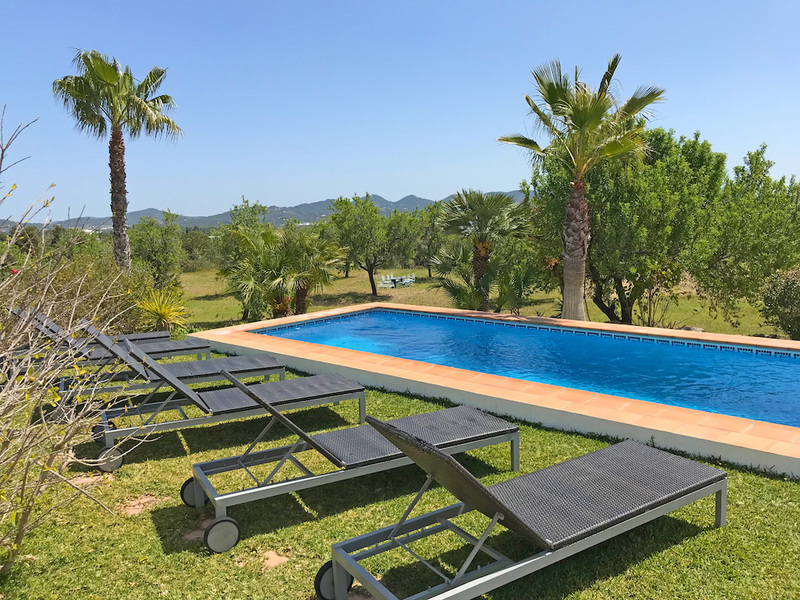 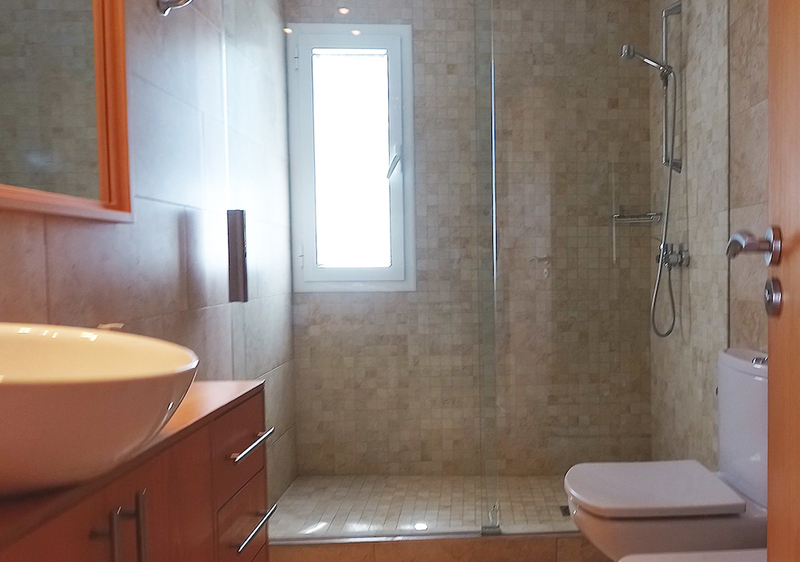 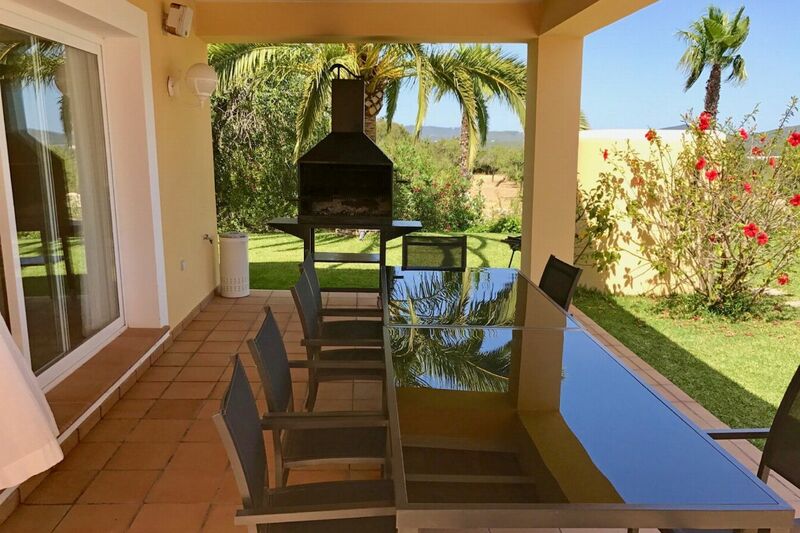 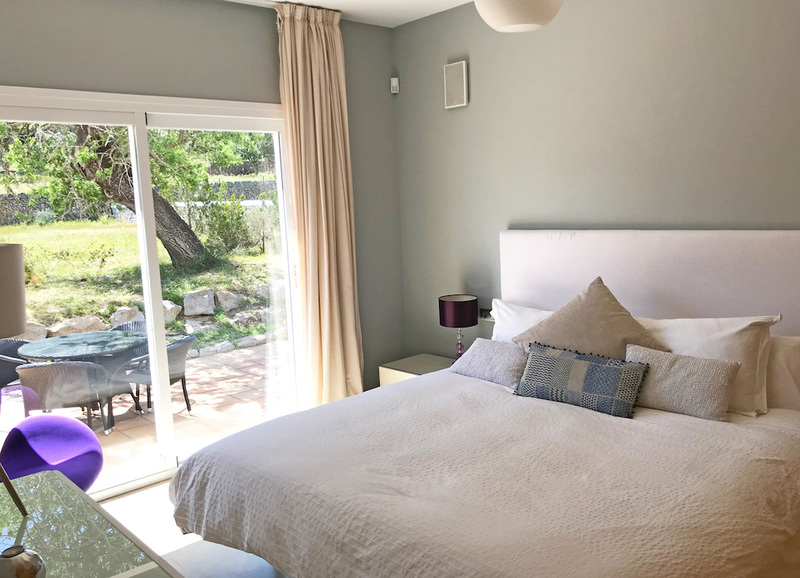 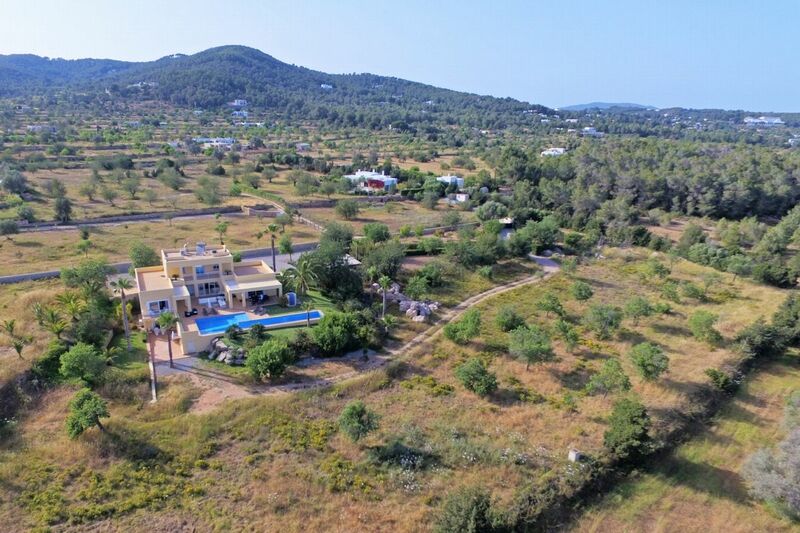 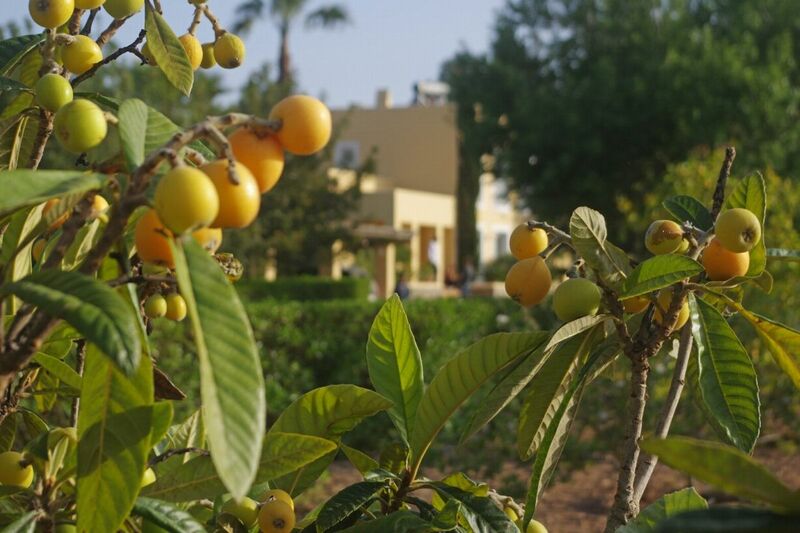 Ideally situated in the countryside just outside San Rafael, it is only 3 minutes from the main road and just a 5 minute drive from the closest supermarket - Hipercentro + Lidl. 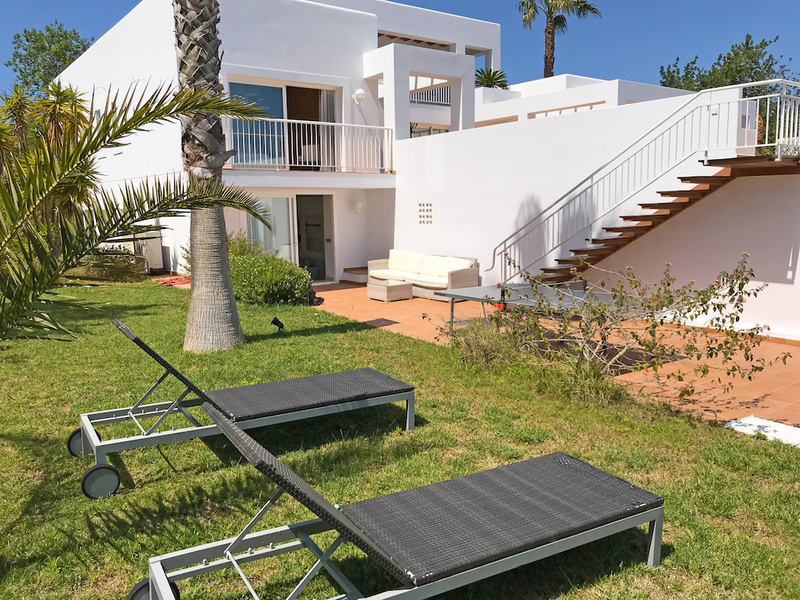 OUTDOOR AREAS The vast pool area and sun terraces are lined with luxury sun loungers and umbrellas, there is also an outdoor dining area with BBQ, a bar area with a fully stocked lockable king size mini bar and an outdoor shower. 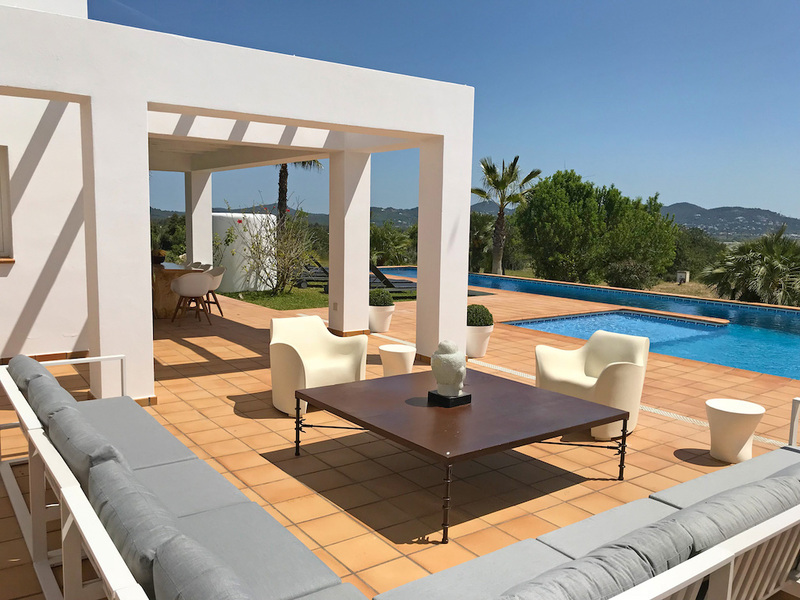 There is a large seating area with sunshade, which is illuminated at night with led lights making this a magical outdoor chill-out area. 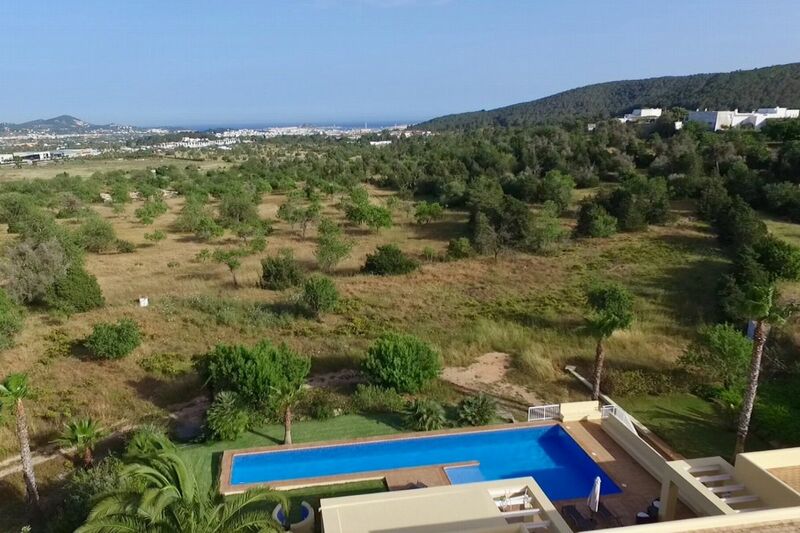 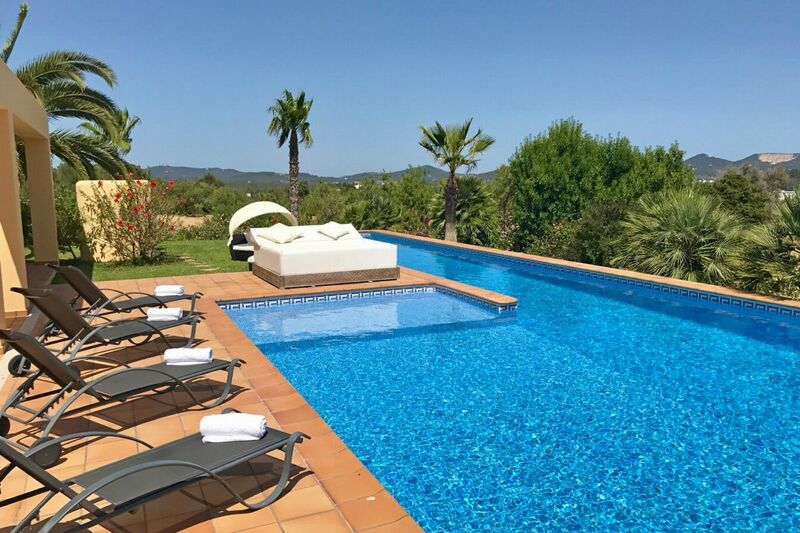 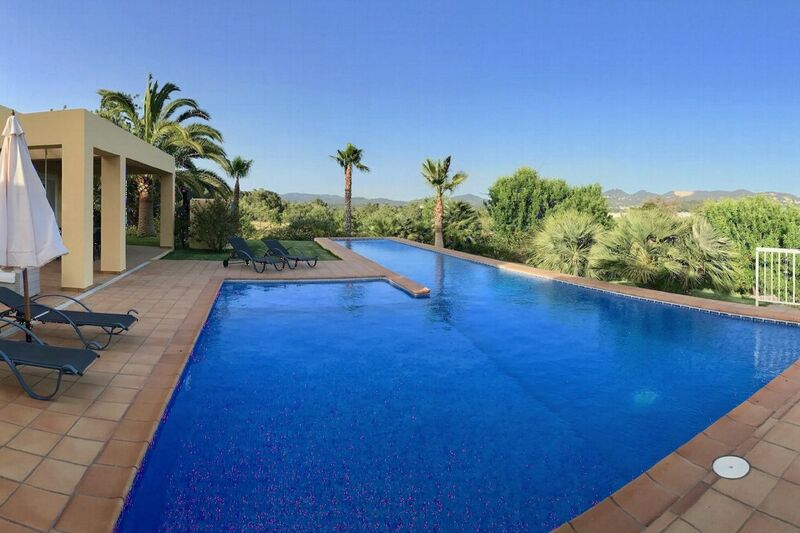 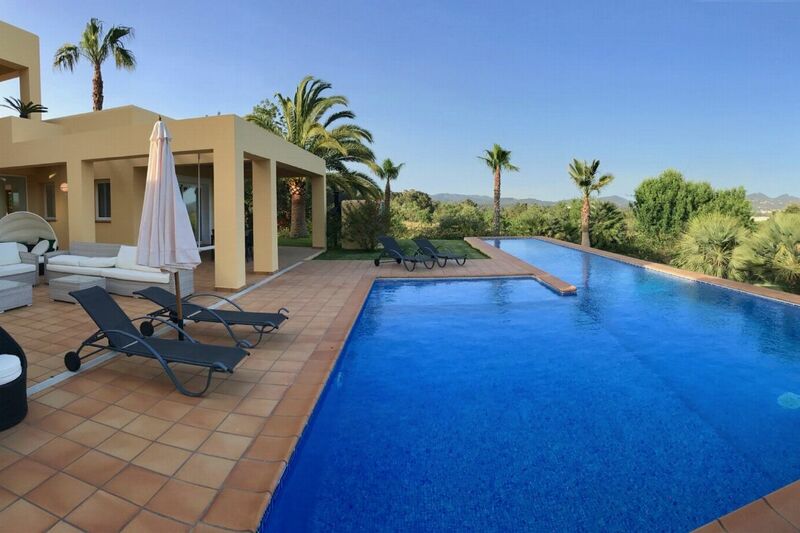 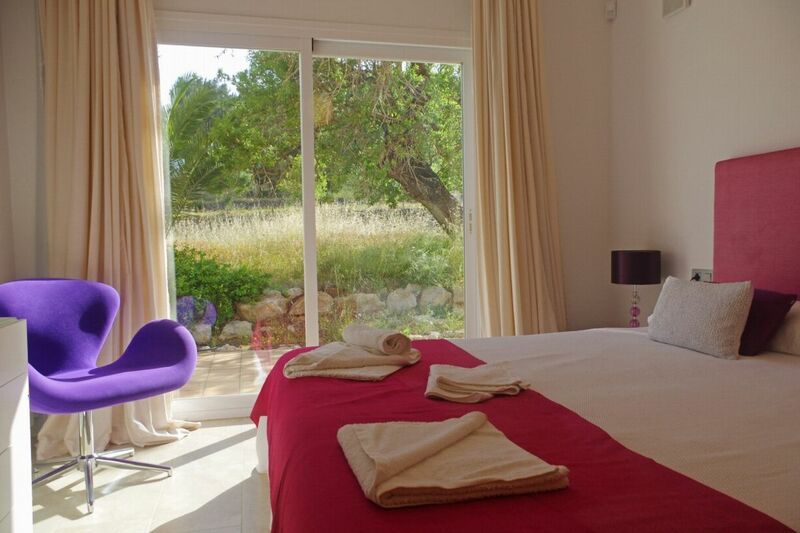 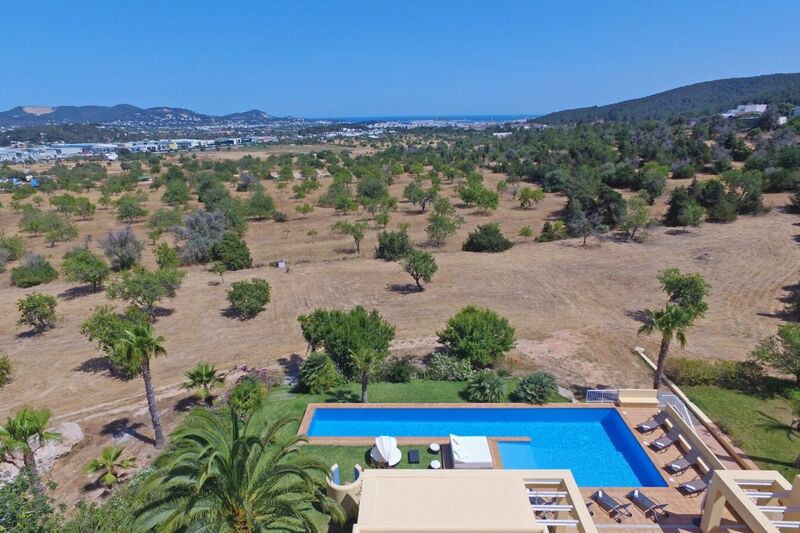 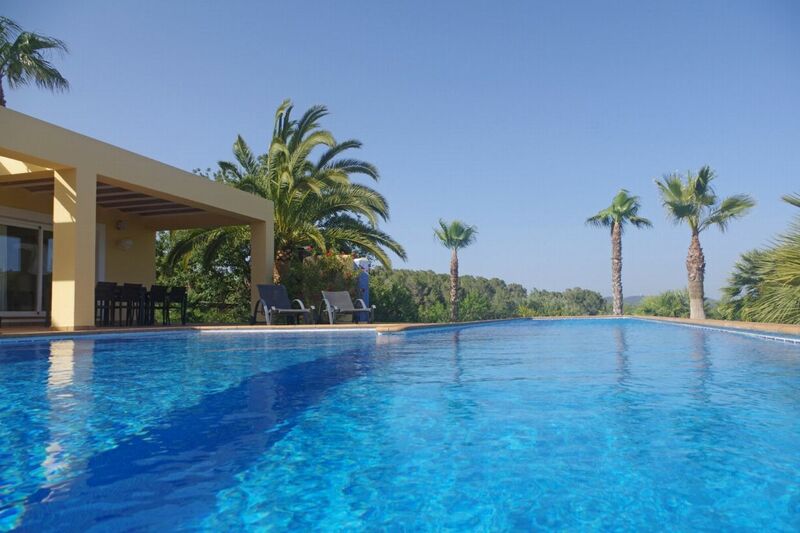 The huge pool looks straight out over the property's vast plot and provides guests with stunning natural campo views. 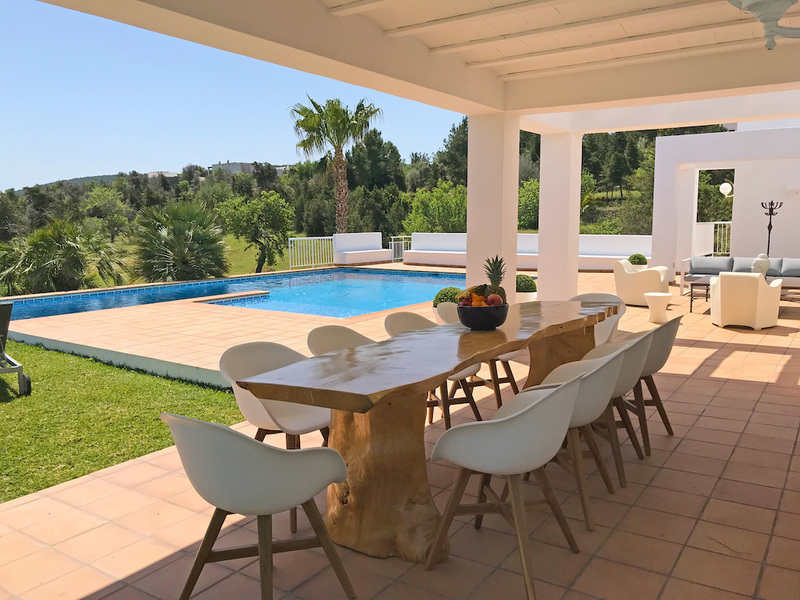 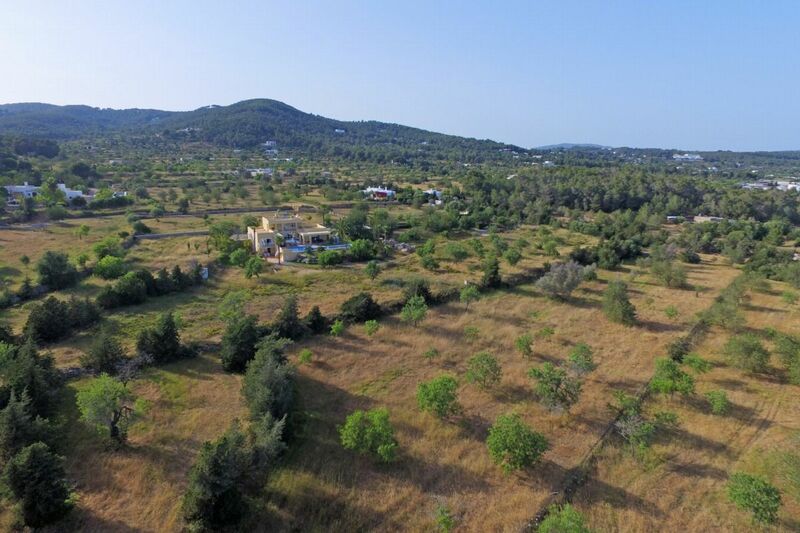 Take a few steps from the pool and walk into your own private meadow of 20,000 m2, a garden for the children to play in and also a further dining table for 10 people offering more space for entertaining. 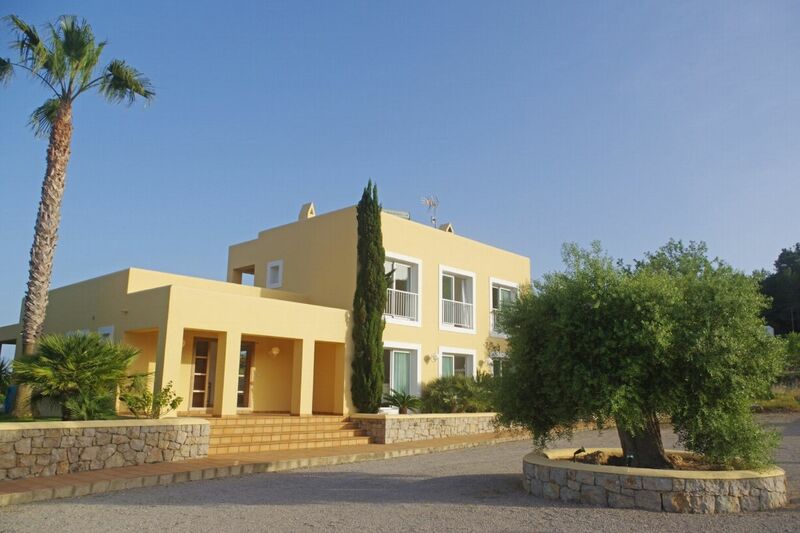 The villa is complete with covered parking for up to 4 cars plus a large courtyard. 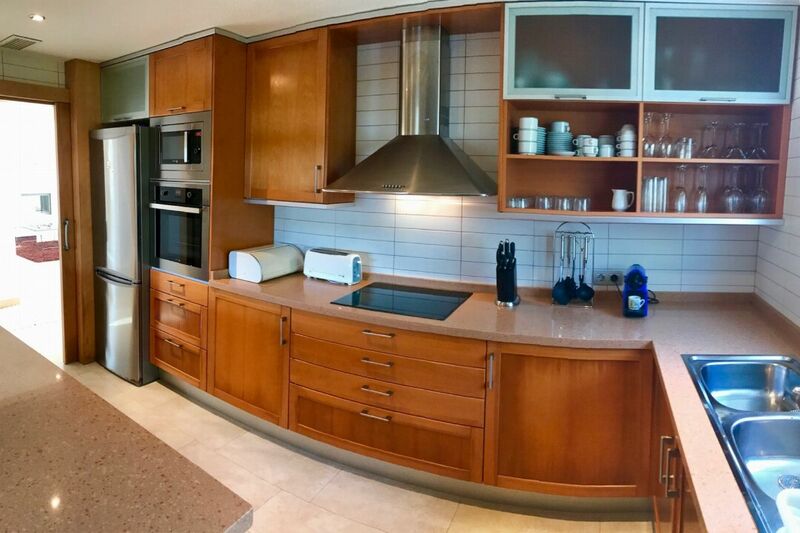 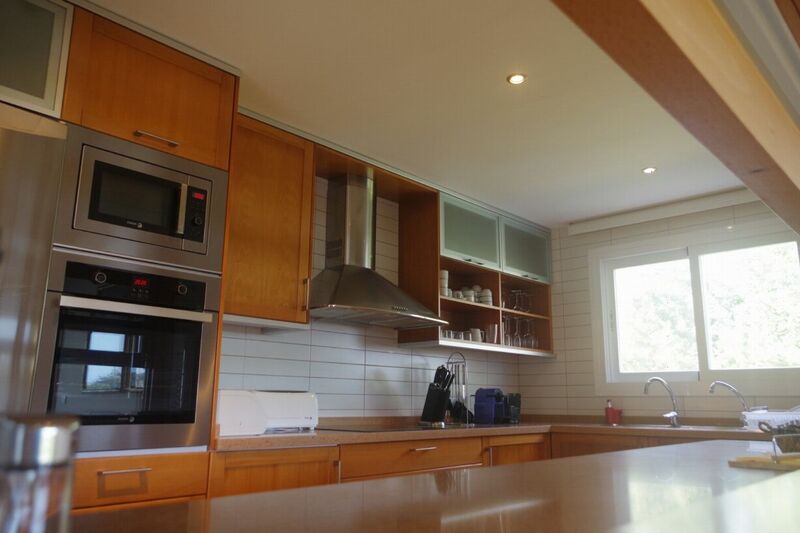 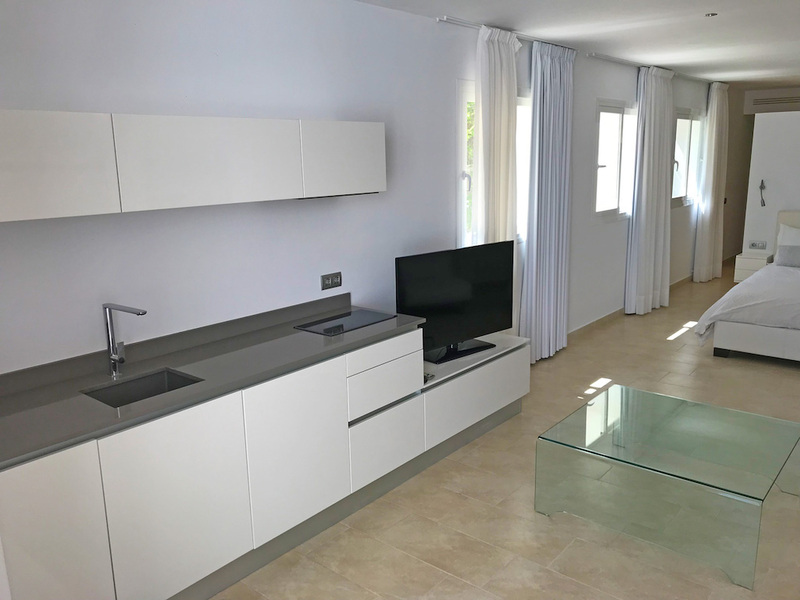 LIVING AREAS The kitchen is modern and fully equipped with dishwasher, washing machine and all the latest modern appliances including a Nespresso Coffeemaker. 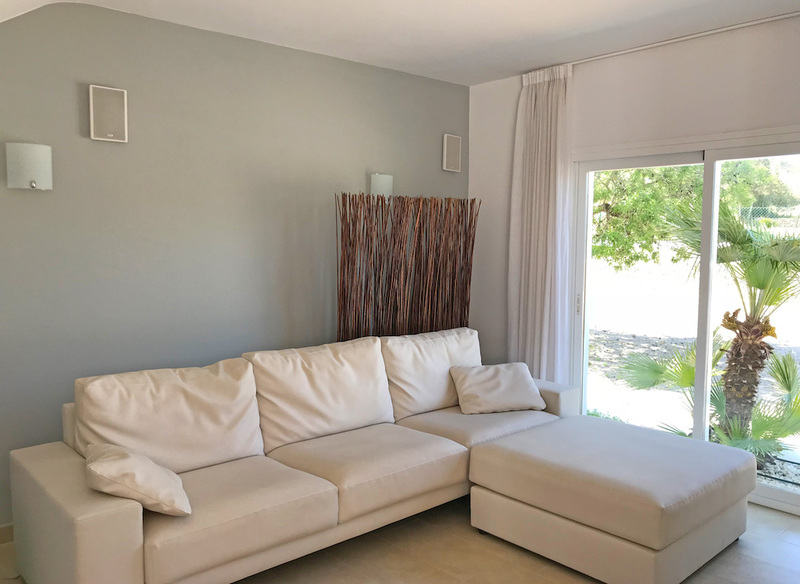 The living area offers two lounges both with large sofa areas, one lounge is for watching TV/relaxing, while the other is for entertaining - there is DJ equipment available upon request for small celebrations. 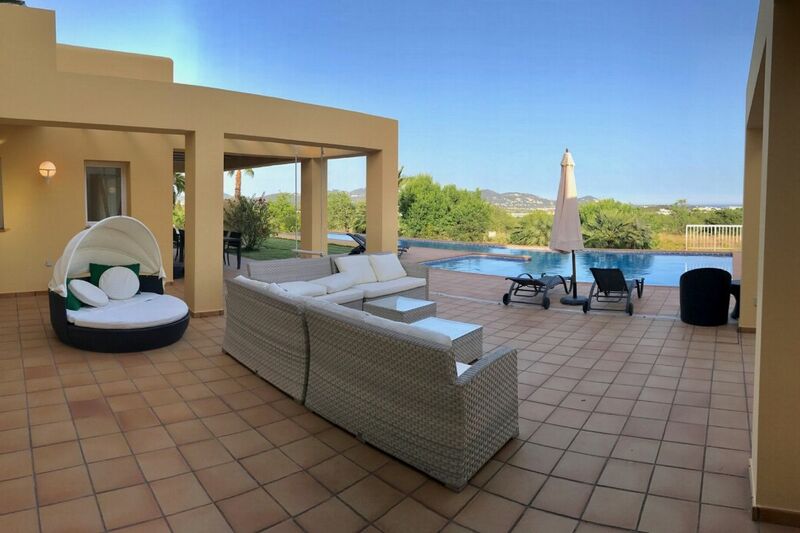 All rooms and outdoor areas have access to a music system which can be controlled via your phone. 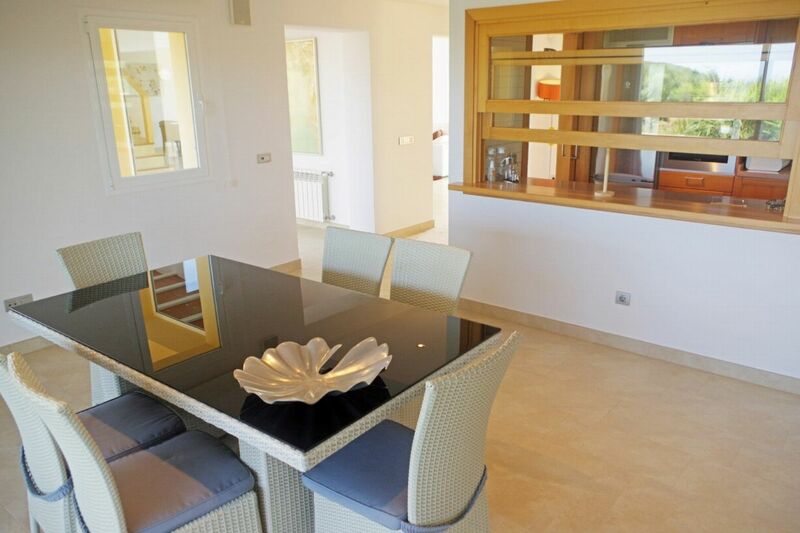 The indoor dining area sits adjacent to the outdoor dining area accommodating 16 people altogether. 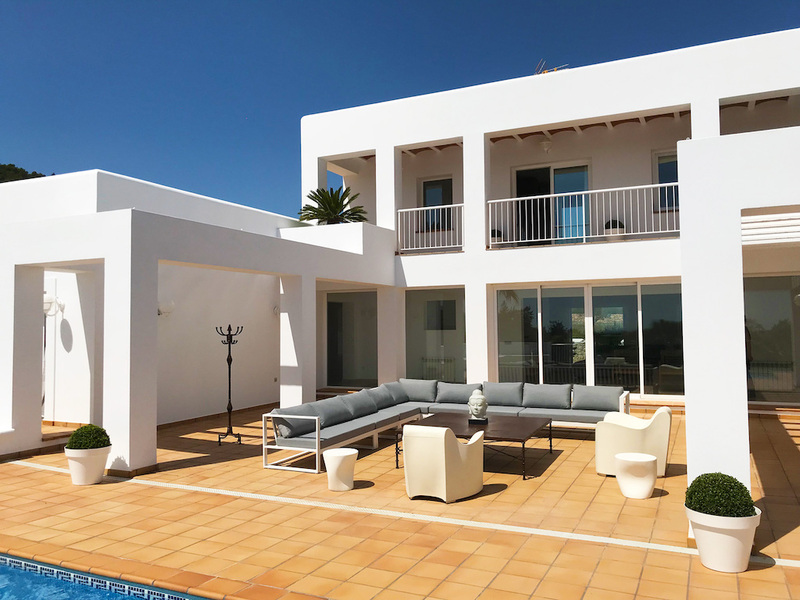 The house has WiFi and air conditioning throughout, there is also a safe and security system with rapid response security team. 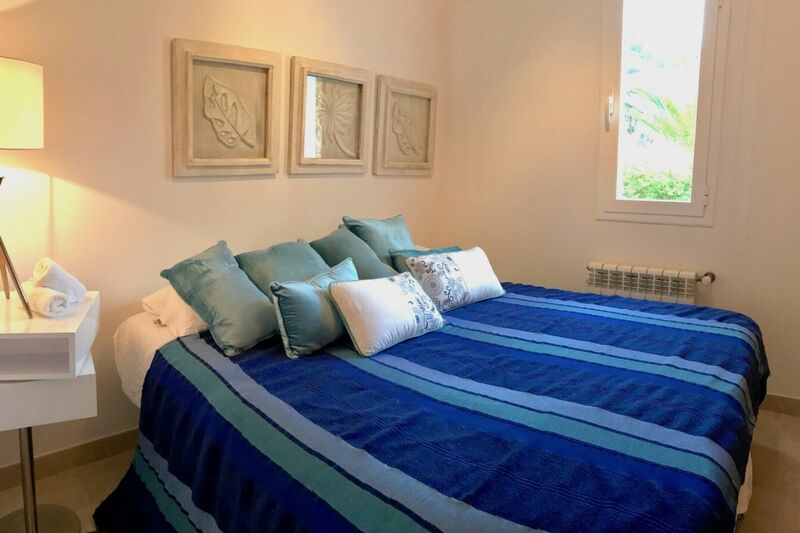 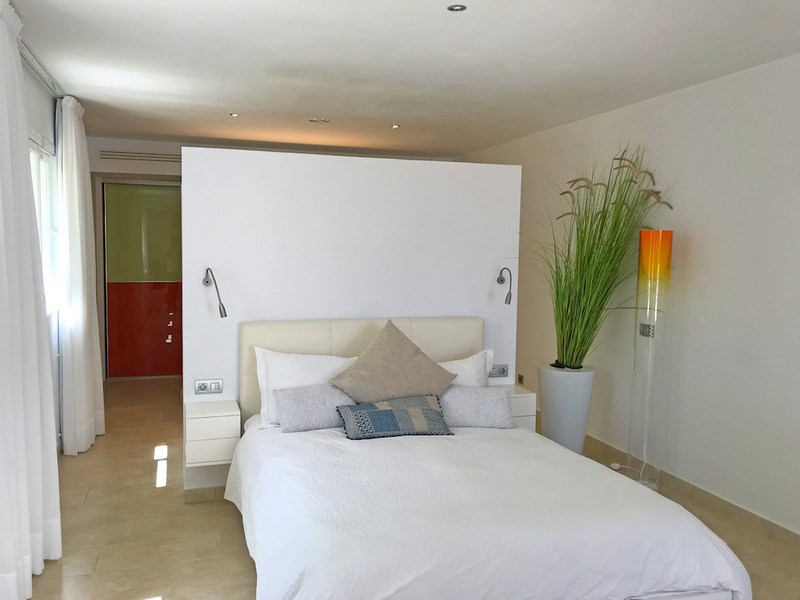 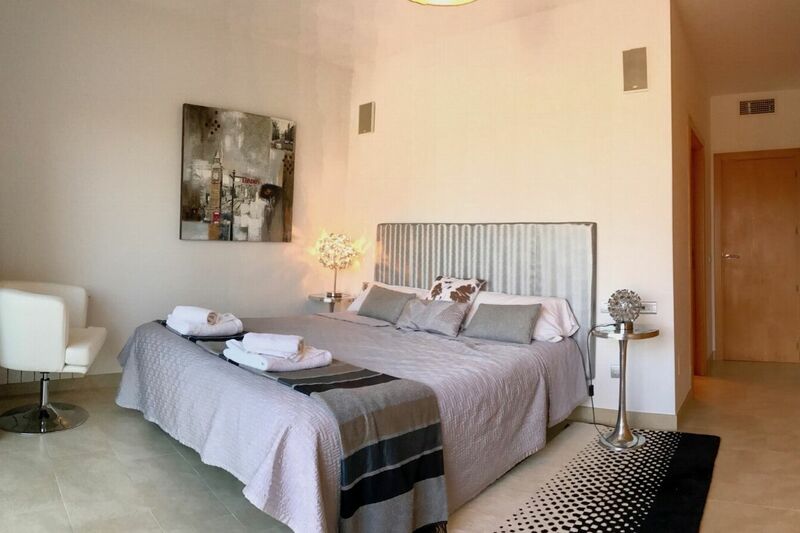 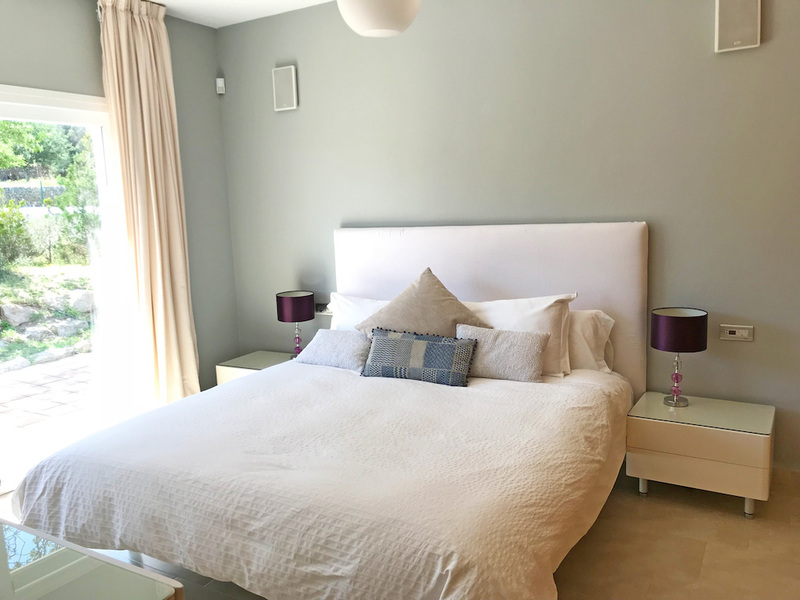 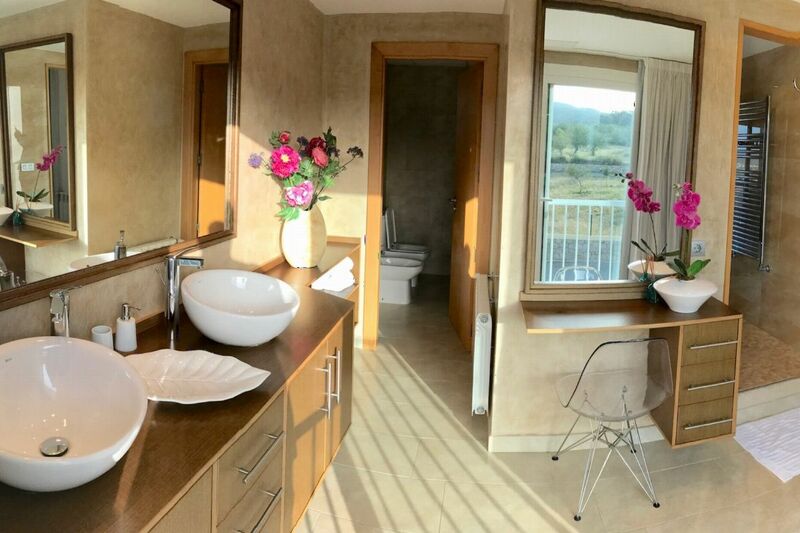 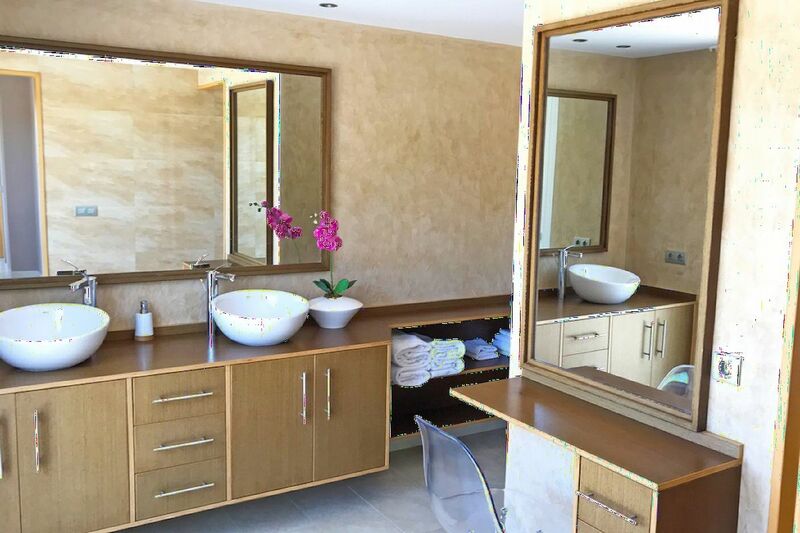 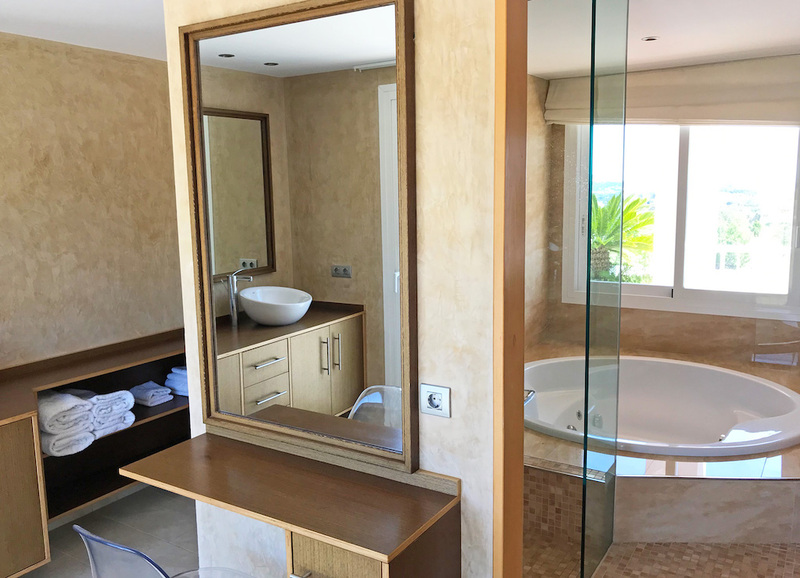 Master Bedroom - Double room which occupies the whole first floor with walk-in wardrobe, air conditioning, en-suite bathroom with Jacuzzi and two private terraces. 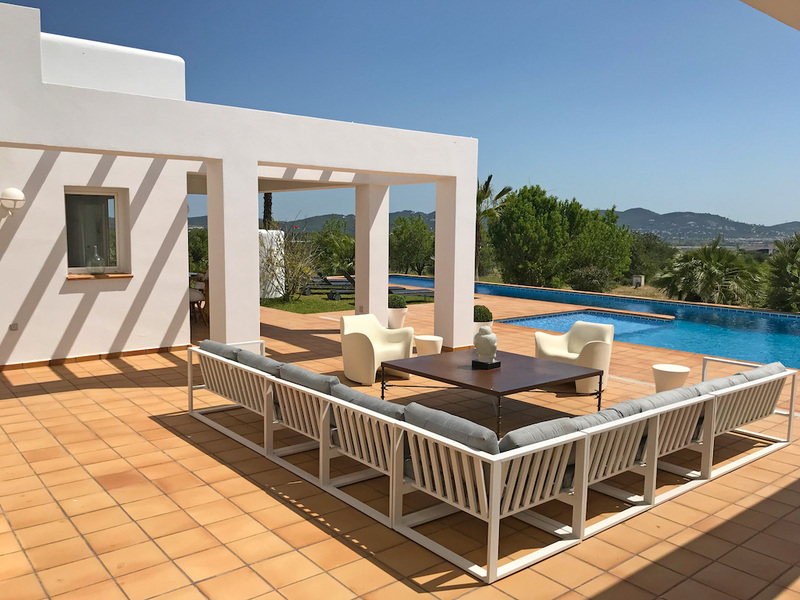 The first terrace has a private dining table for 6 people, ideal for catching amazing Ibiza sunrises and a large sofa chill out area. 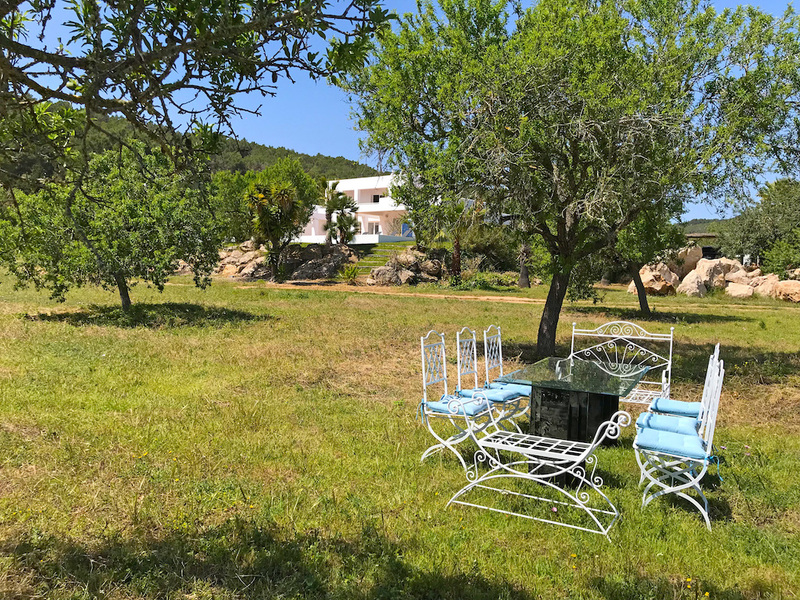 The other terrace set as wellness area with private deckchairs and private massage table, surrounded by nature, both terraces have distant sea views of Marina Botofoch. 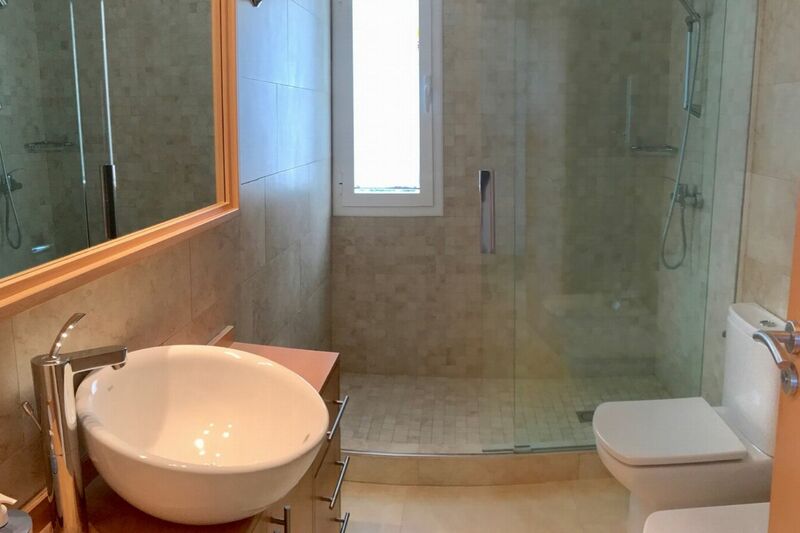 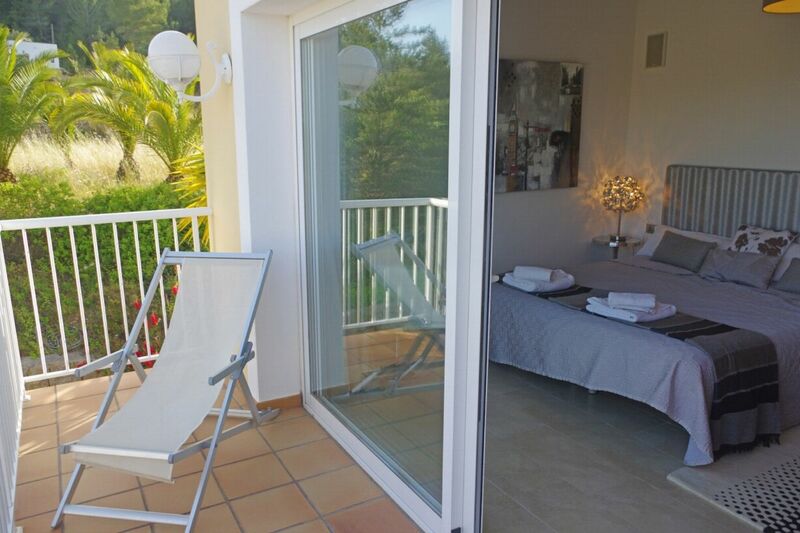 Ground floor - Double room, air conditioning, garden/distant sea views, private terrace, fitted wardrobes and en-suite bathroom. 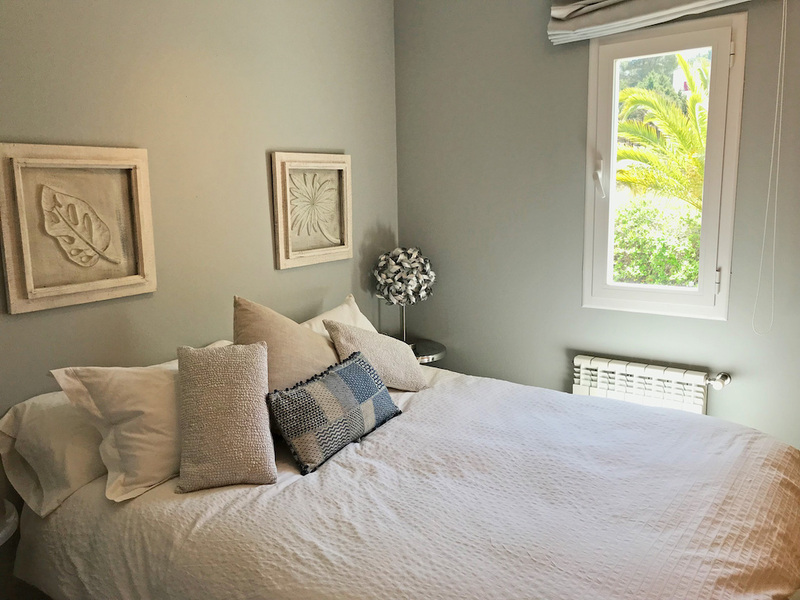 Ground floor - Double room, air conditioning, fitted wardrobes, private outdoor terrace with seating area, large bathroom shared with bedroom 4. 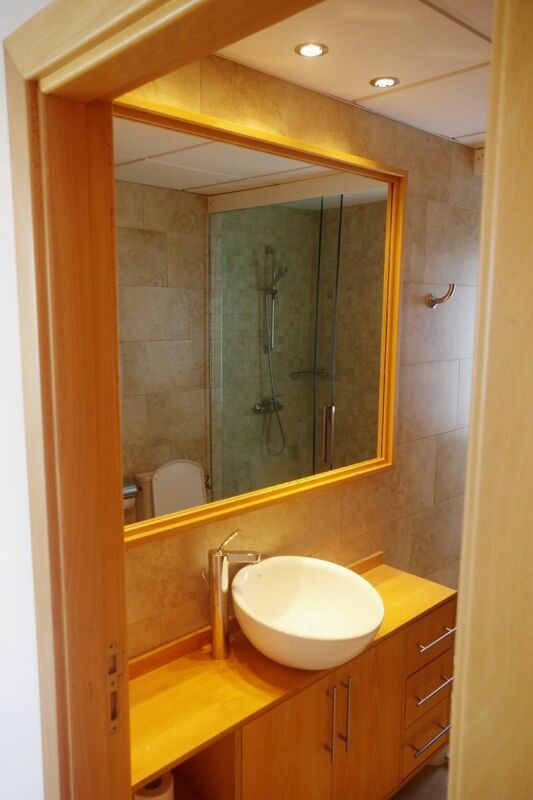 Ground floor - Double room, air conditioning, fitted wardrobes, large bathroom shared with bedroom 3. 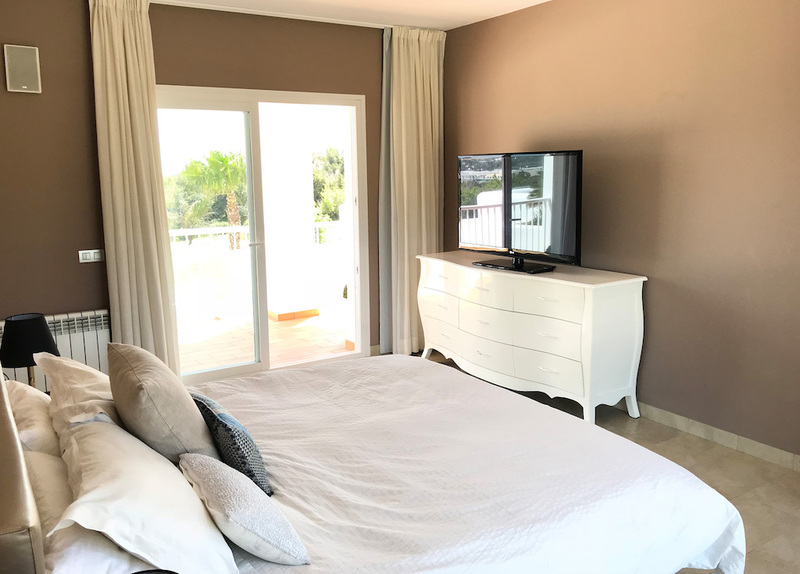 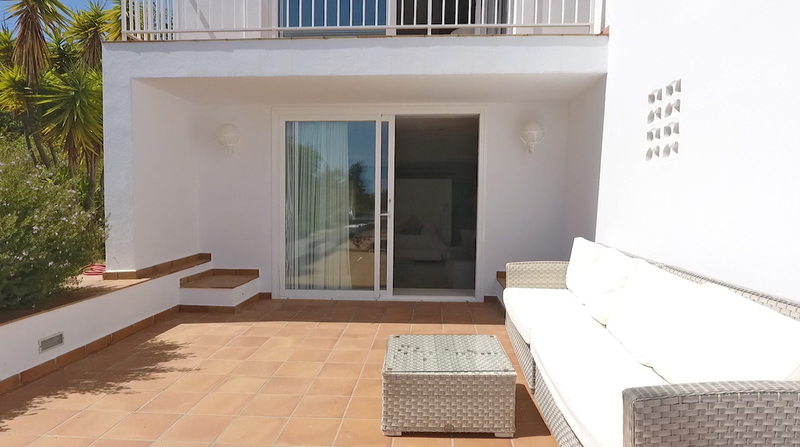 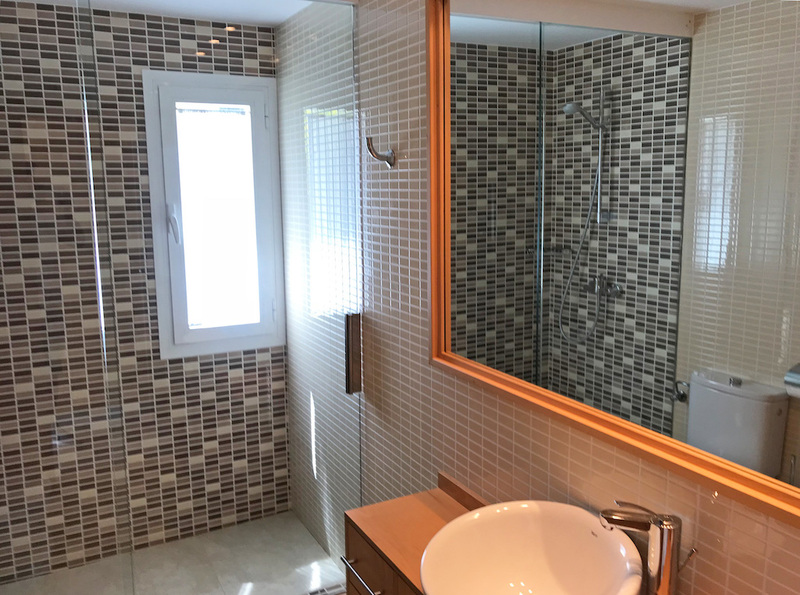 Master 2 - Located within the self contained apartment, double room, air conditioning, en-suite bathroom, walk-in wardrobe, living area with a sofa and large TV, kitchen, private outdoor seating / sunbathing area and private access.